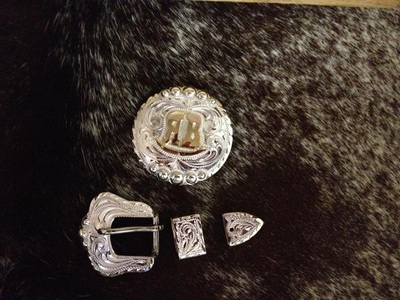 ​You want it, we can make it! 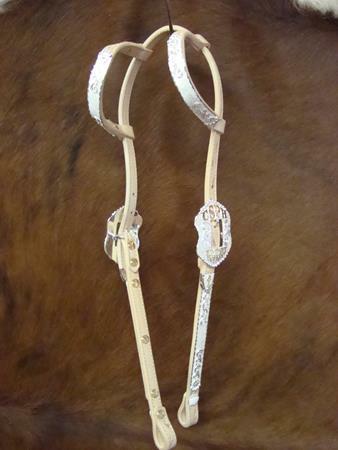 Click on the picture to see the detail!!! 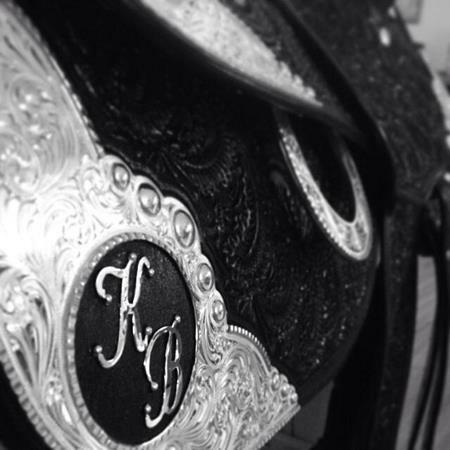 Kathy's is very experienced in making your vision come true. 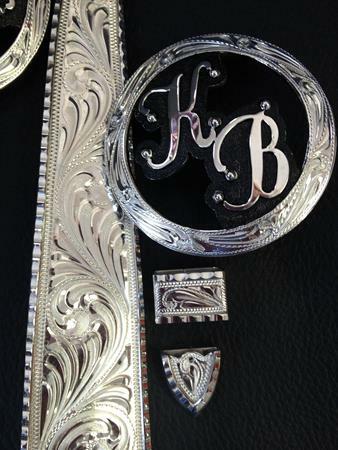 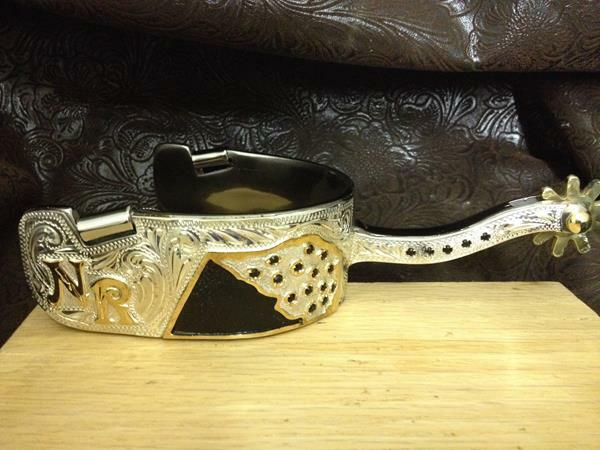 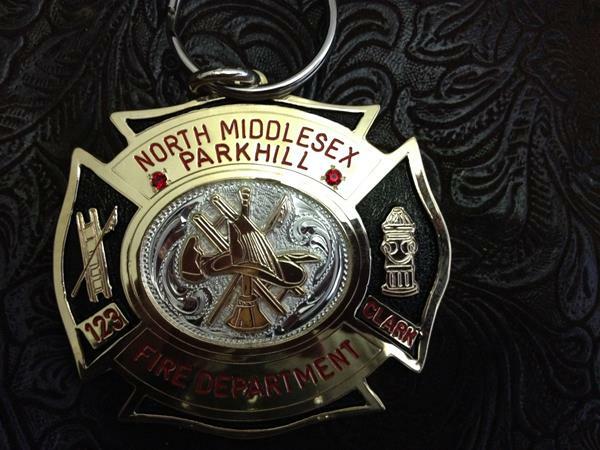 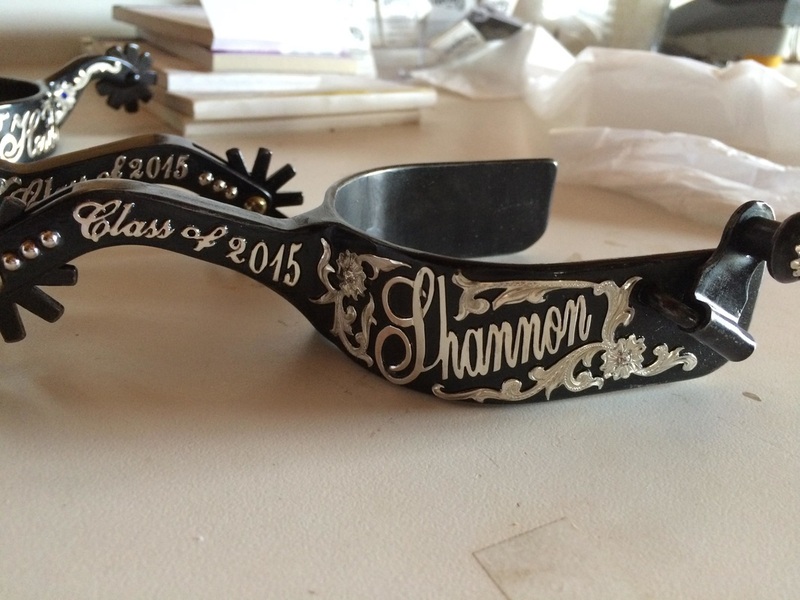 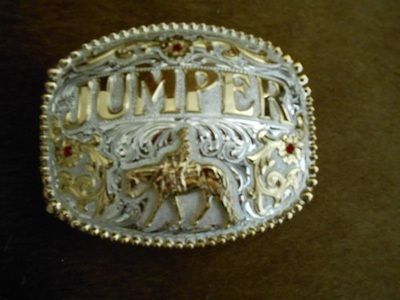 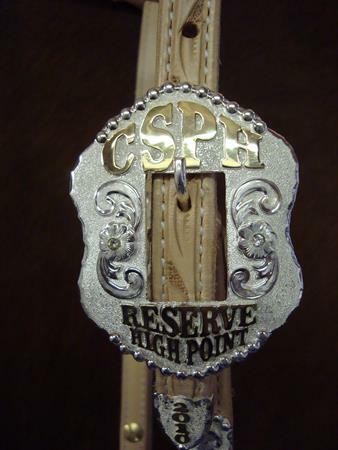 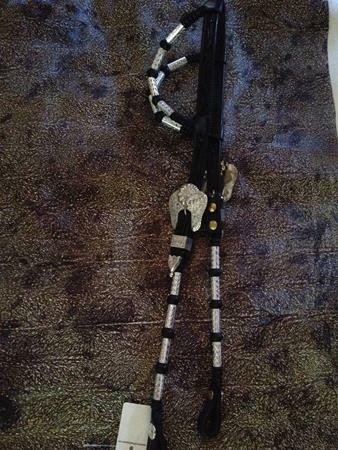 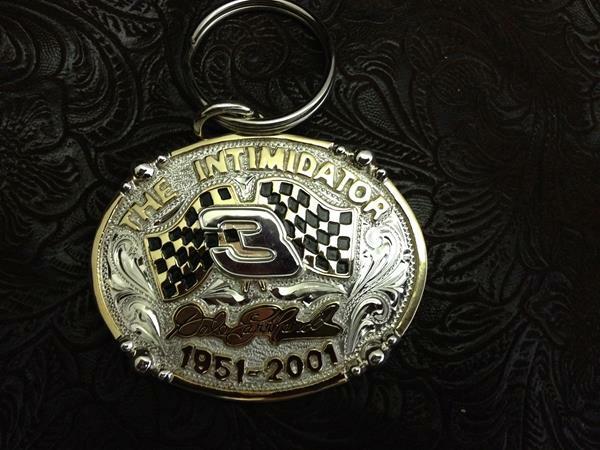 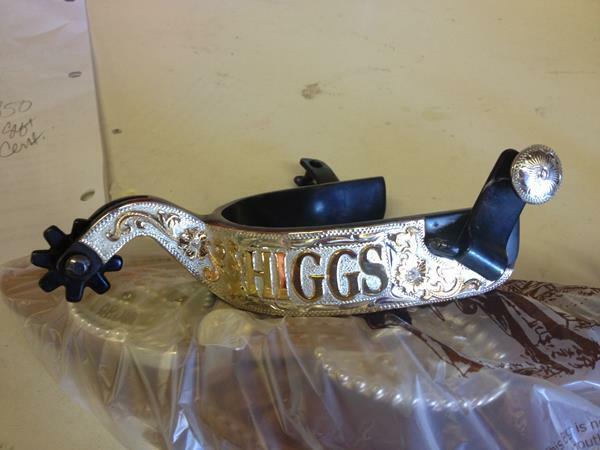 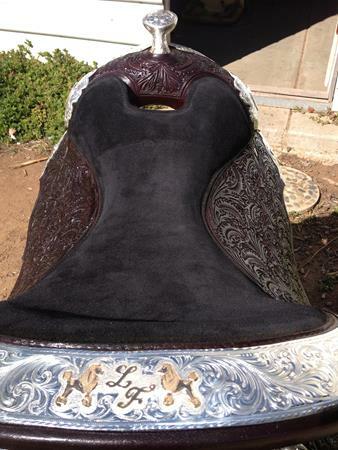 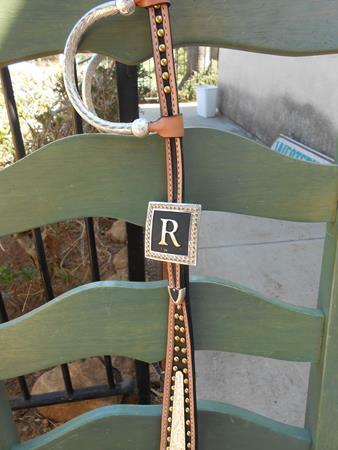 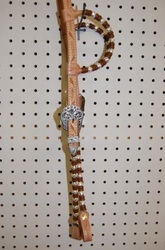 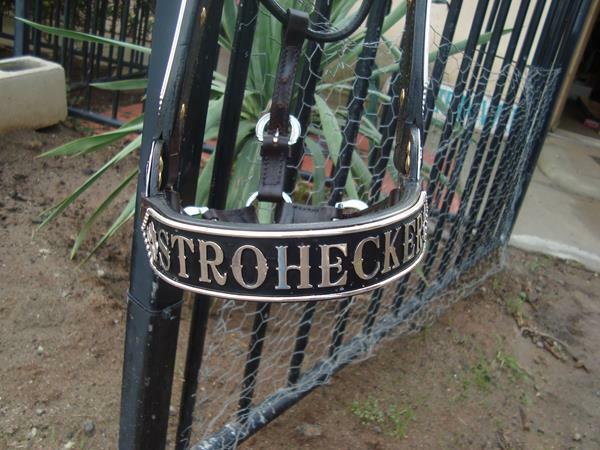 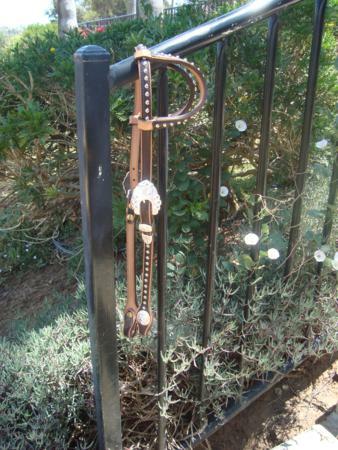 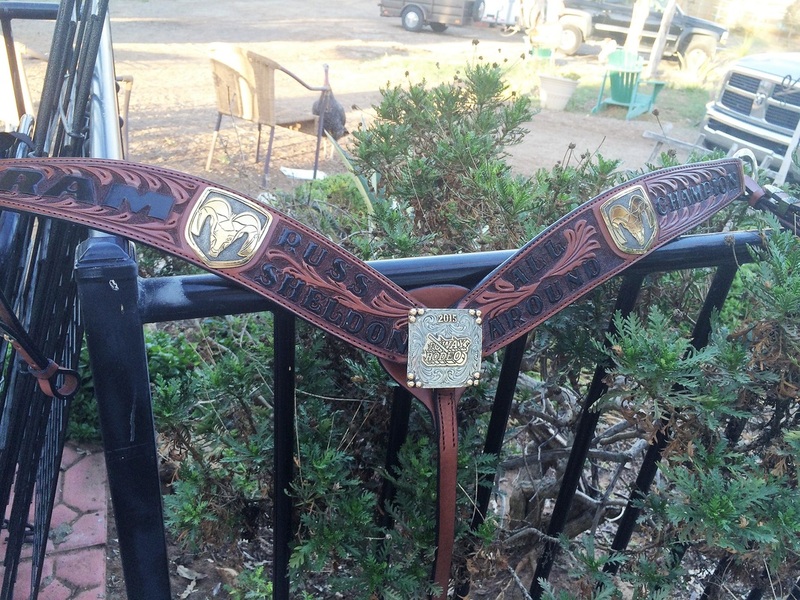 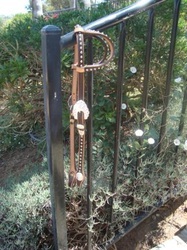 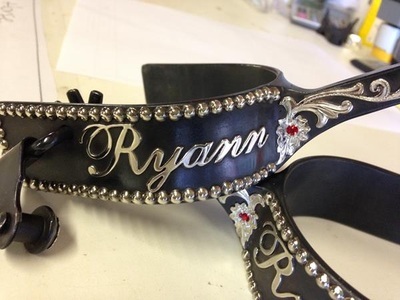 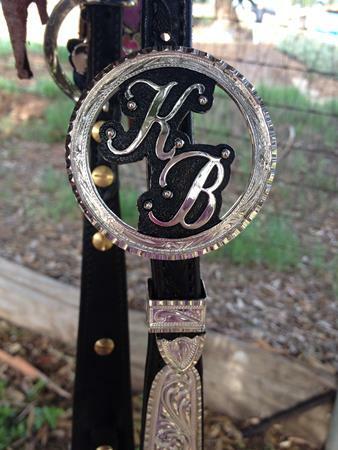 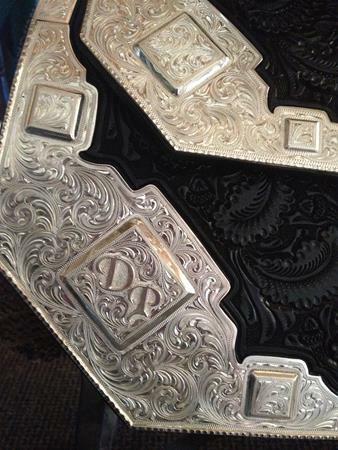 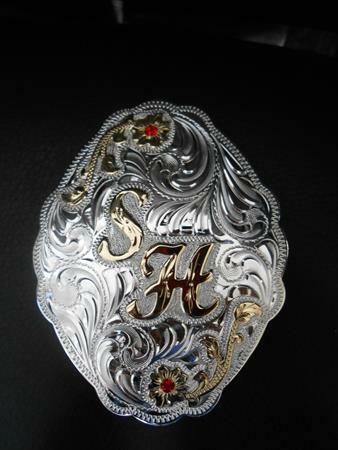 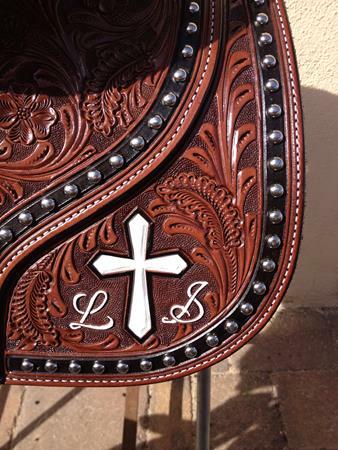 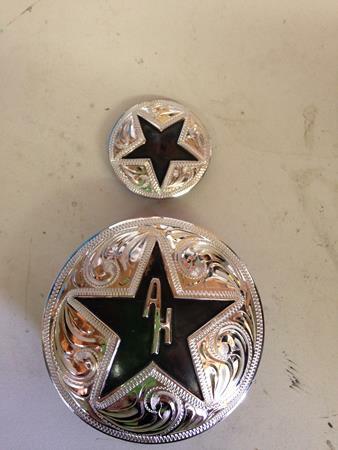 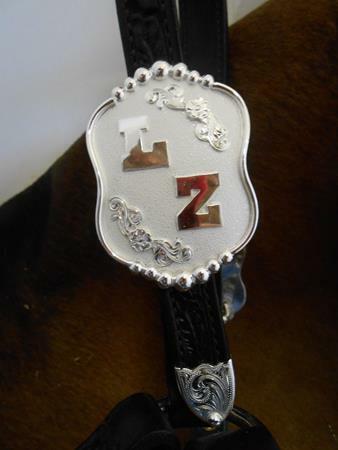 We can custom make just about anything that you want! 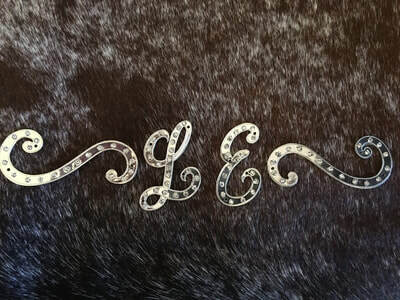 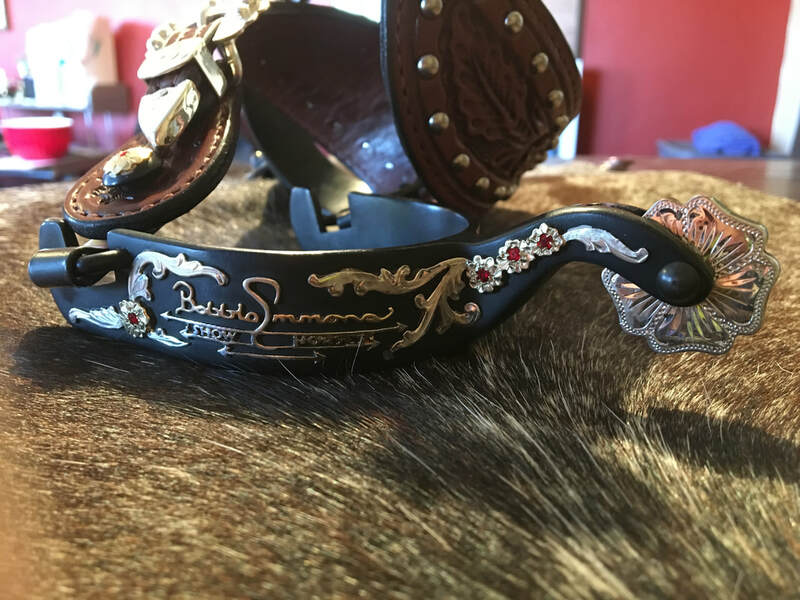 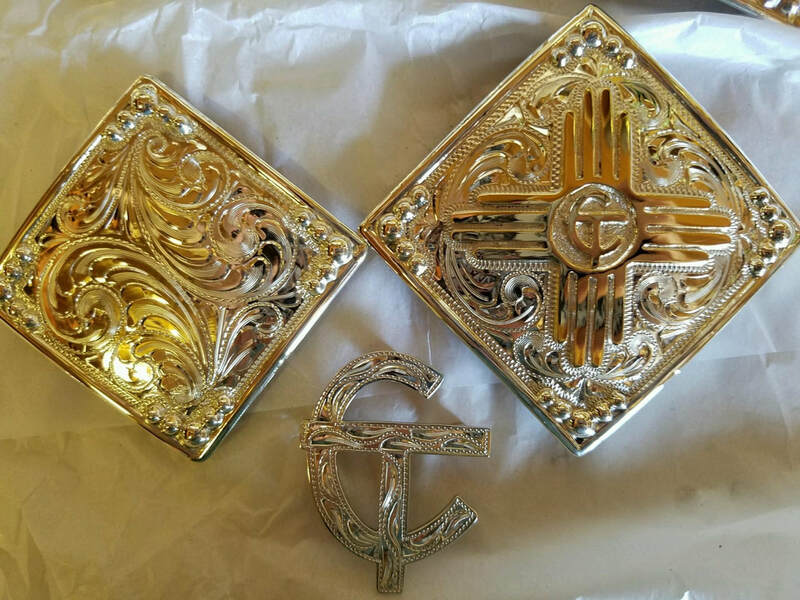 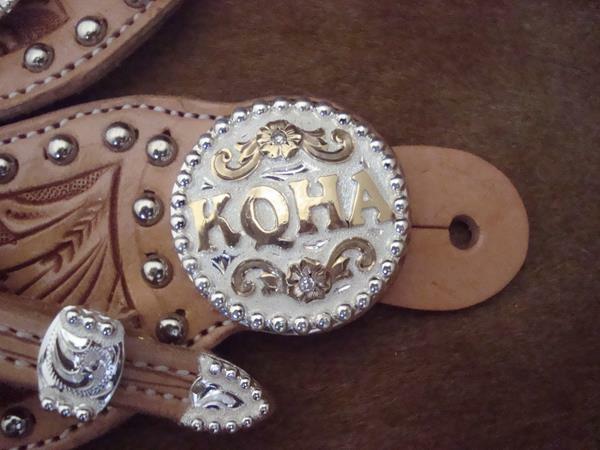 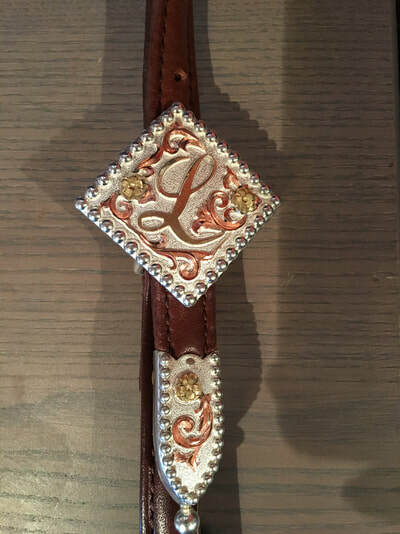 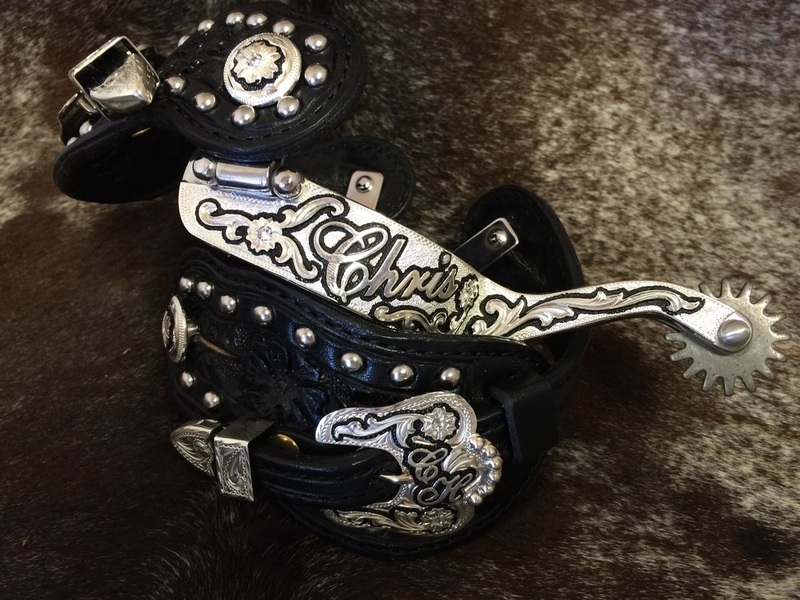 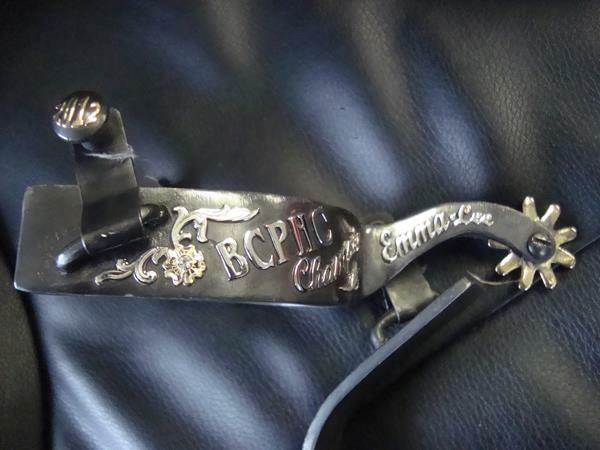 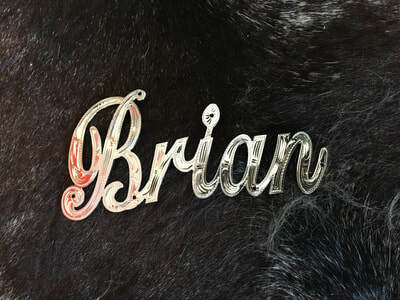 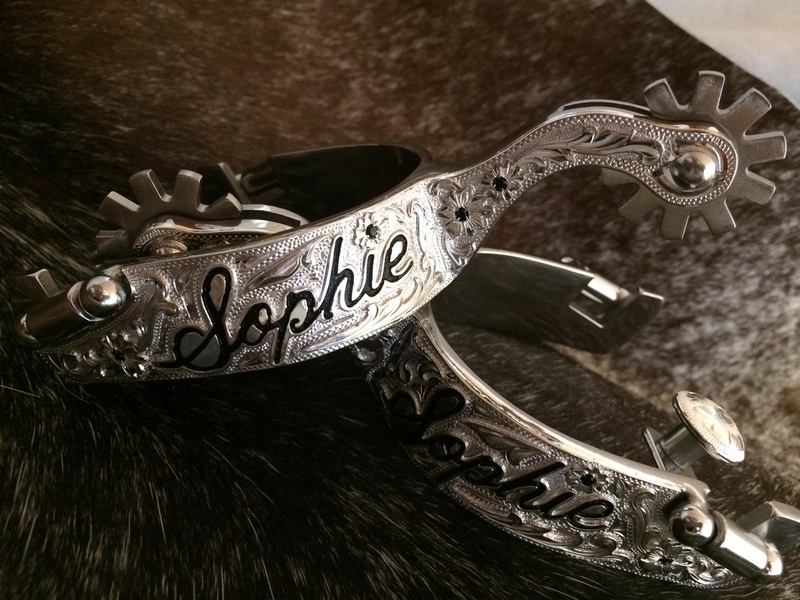 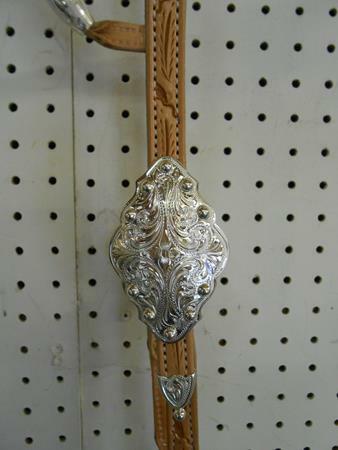 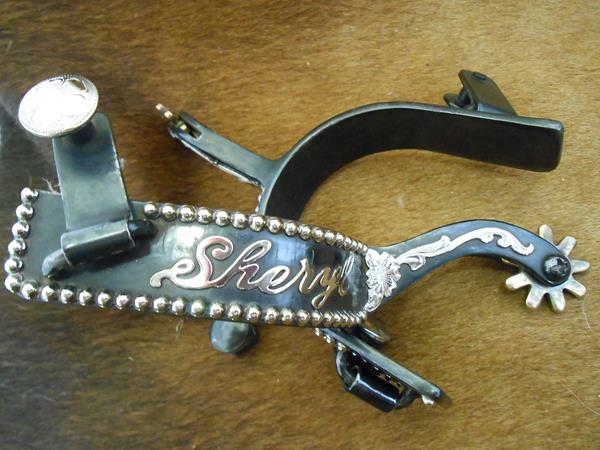 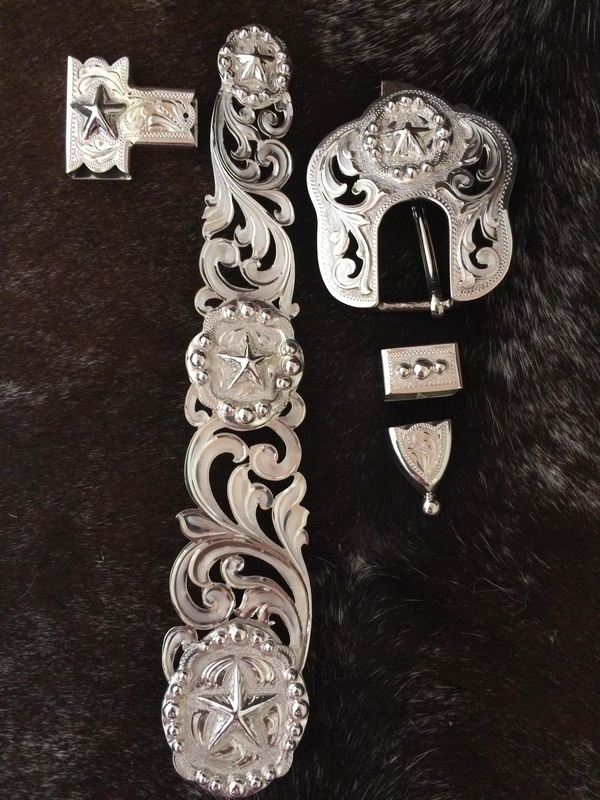 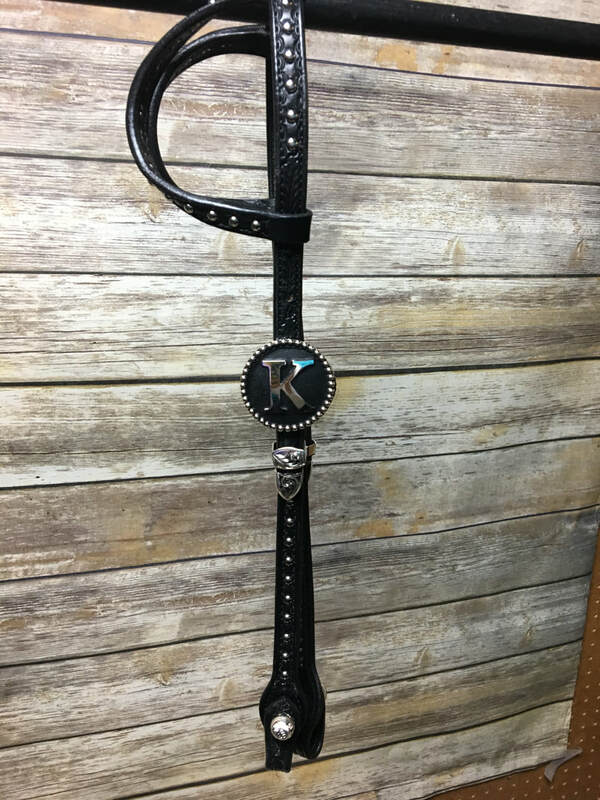 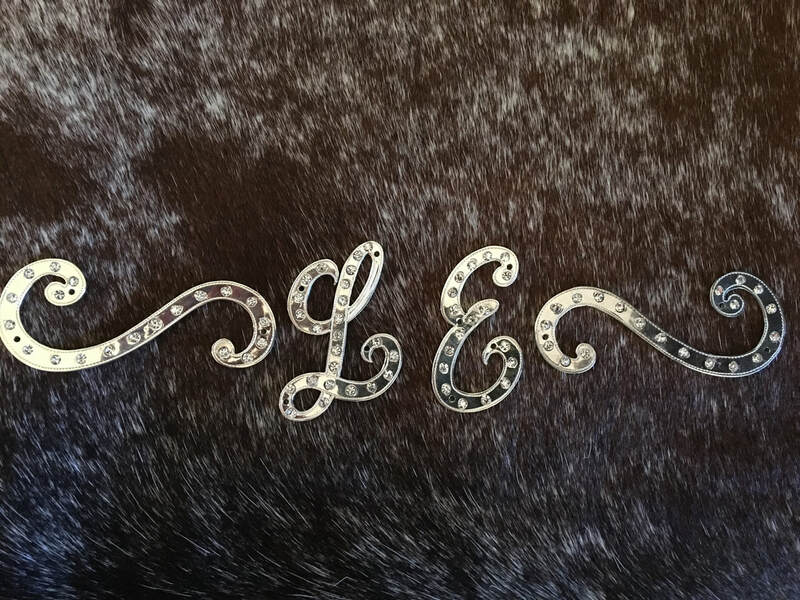 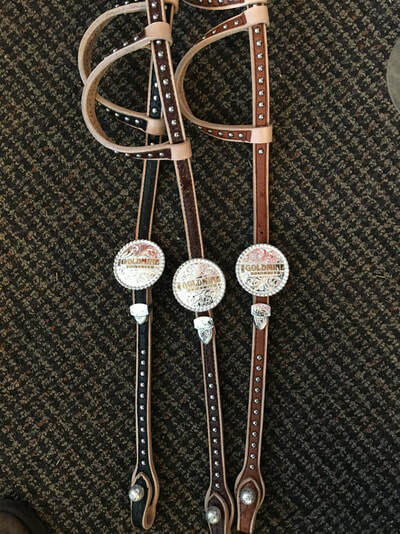 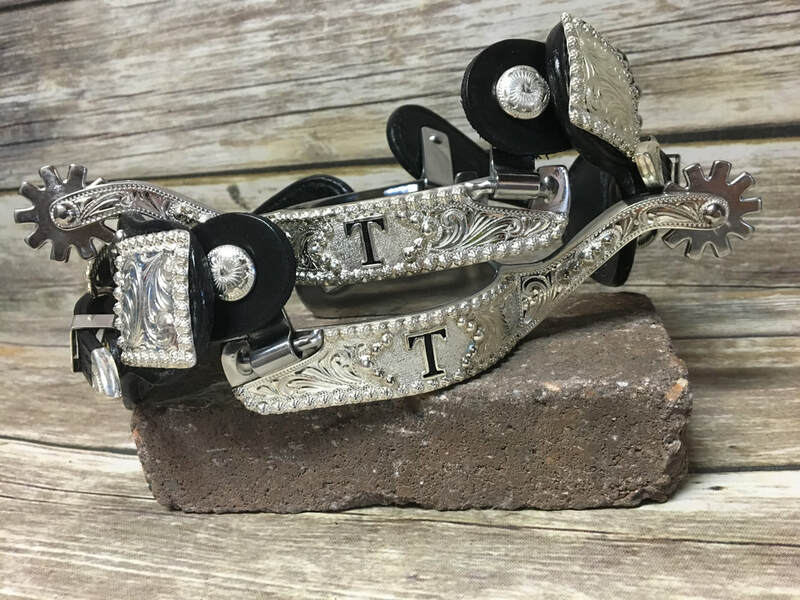 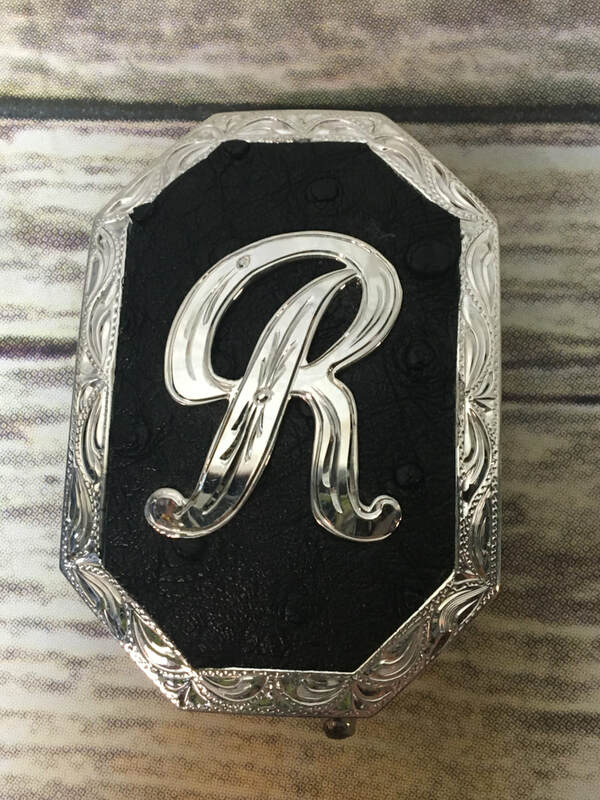 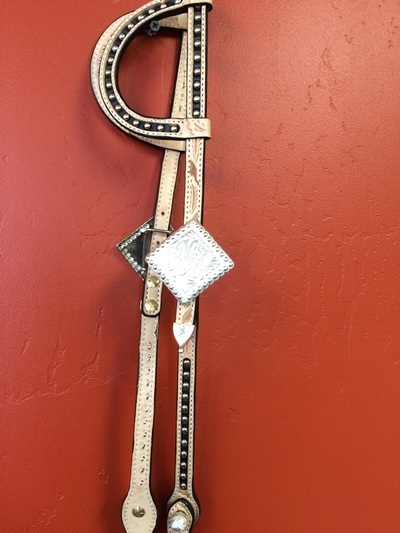 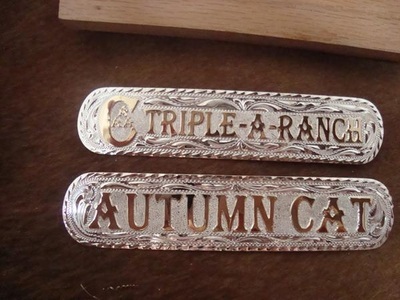 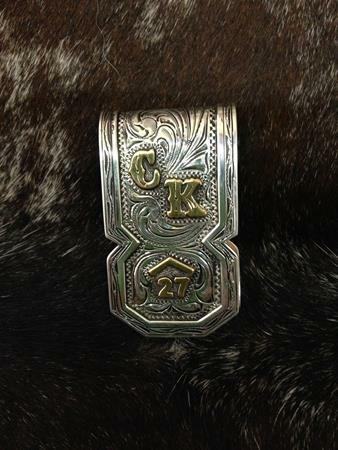 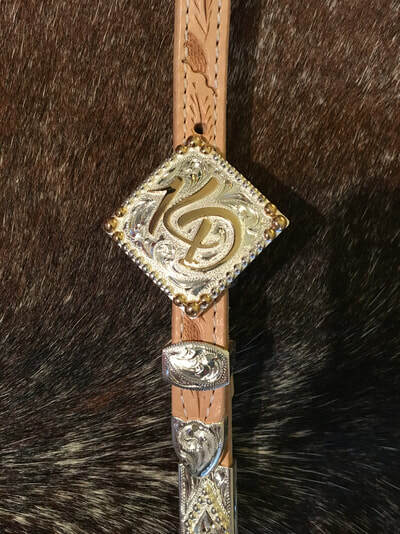 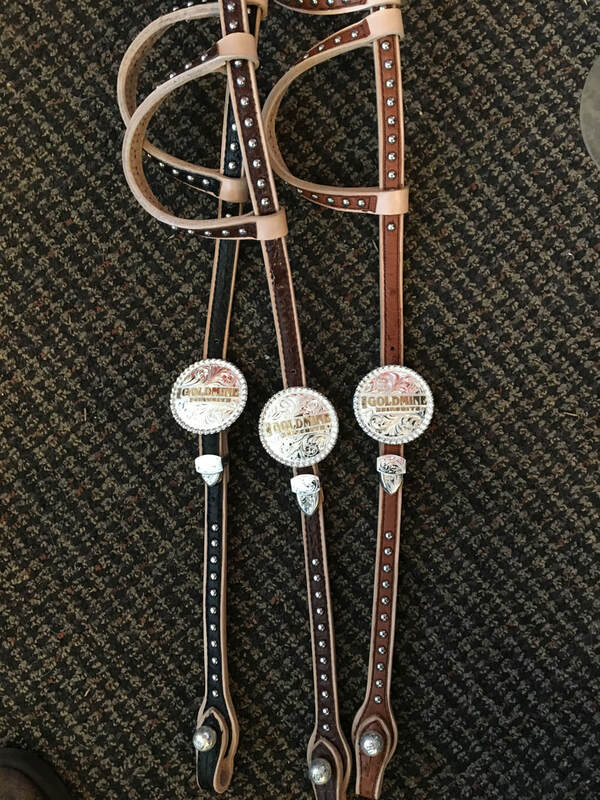 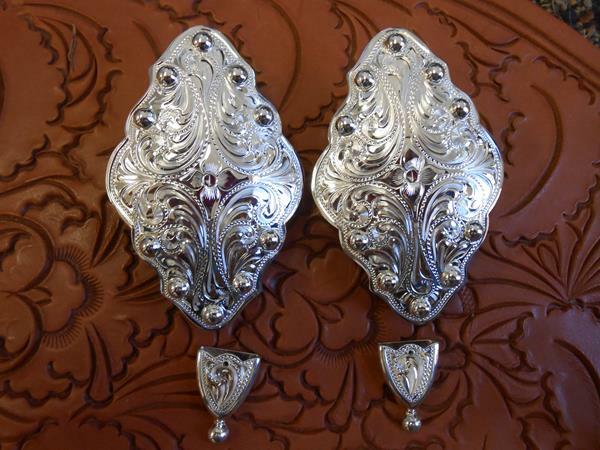 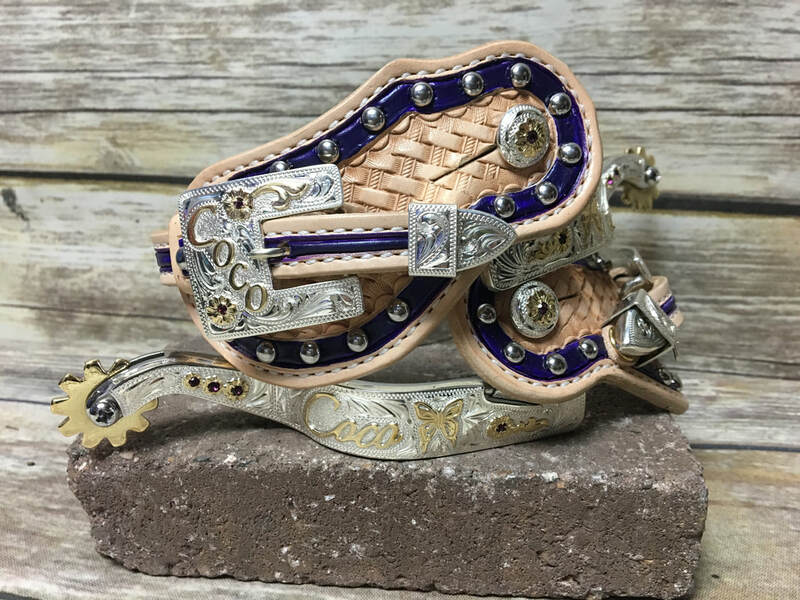 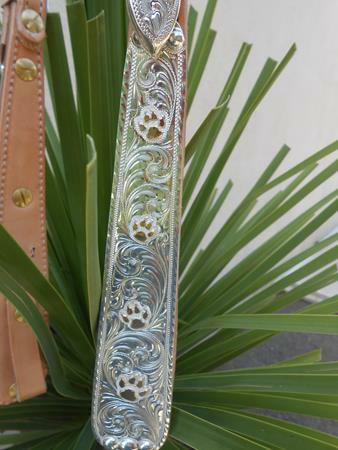 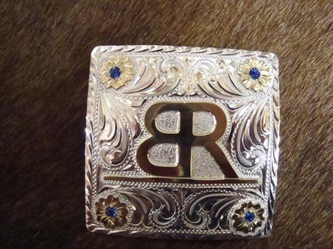 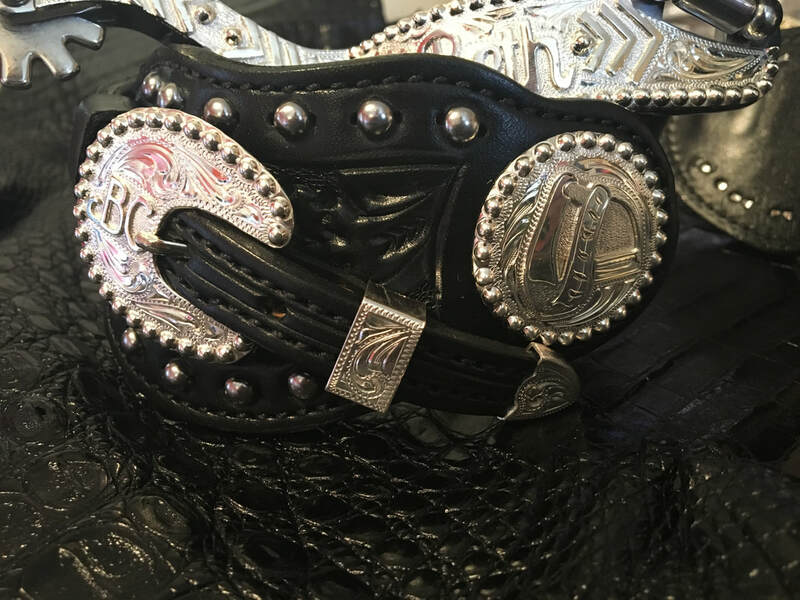 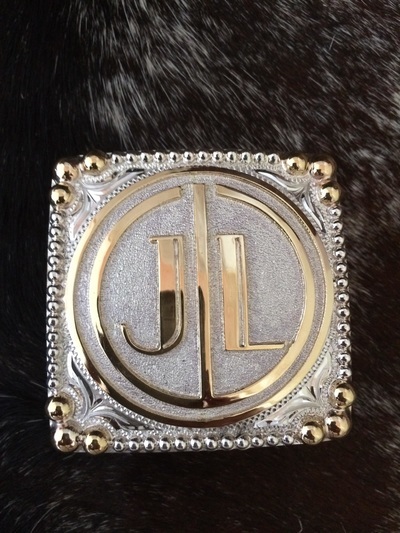 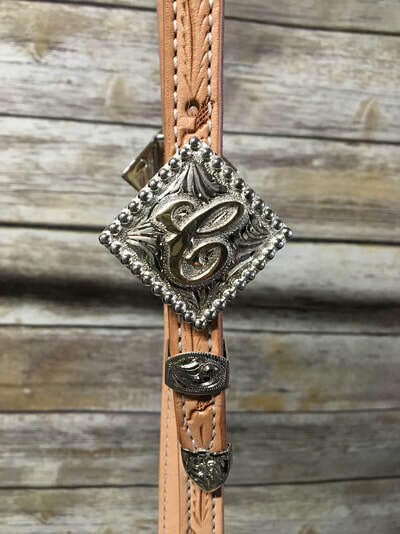 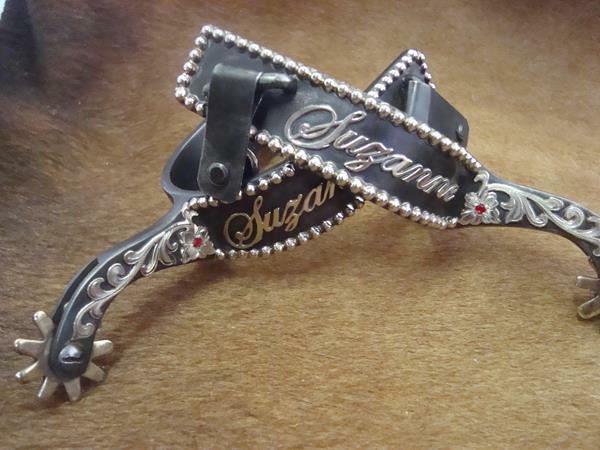 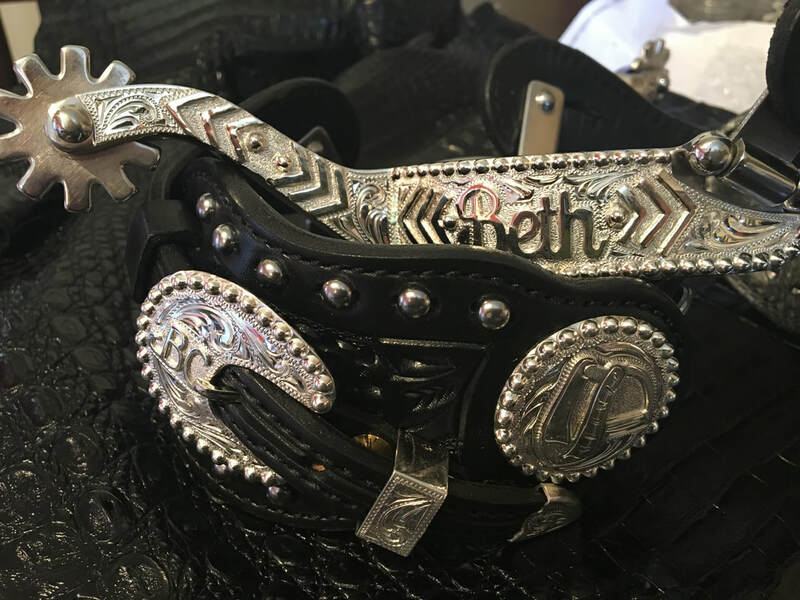 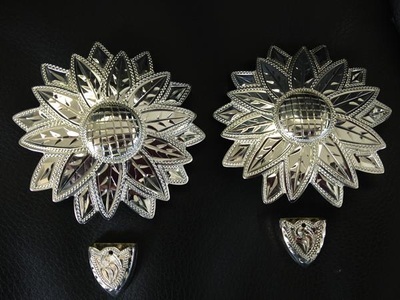 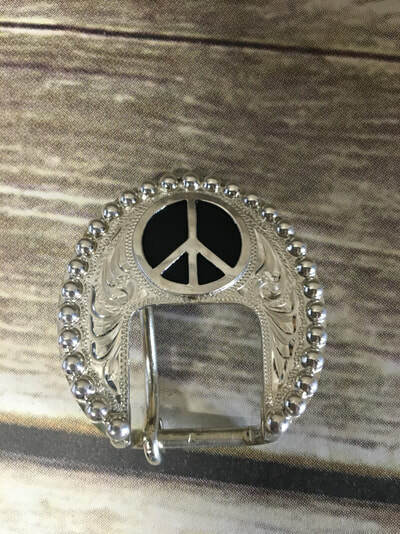 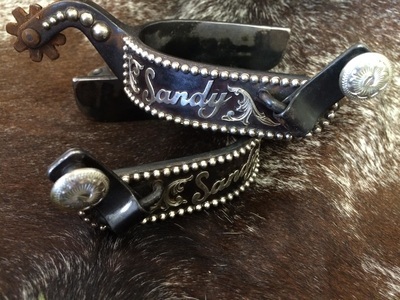 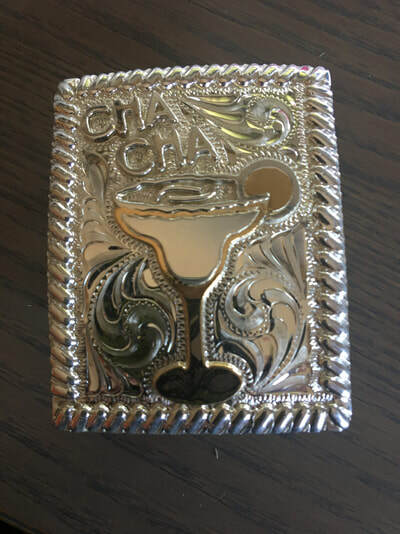 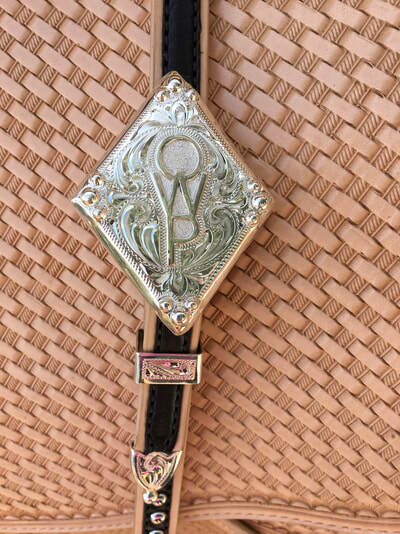 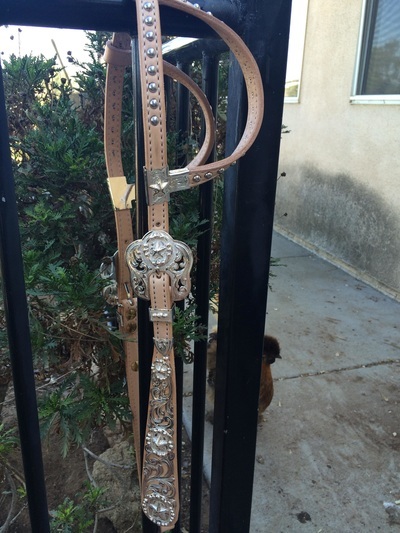 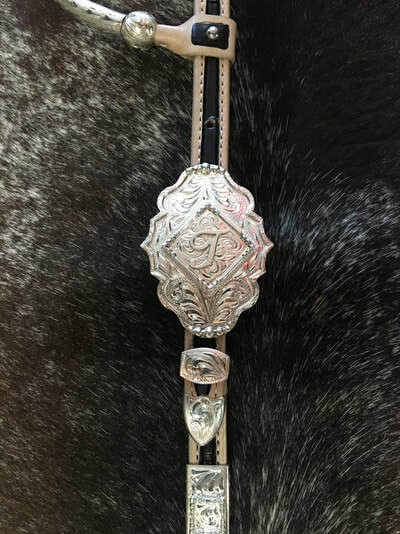 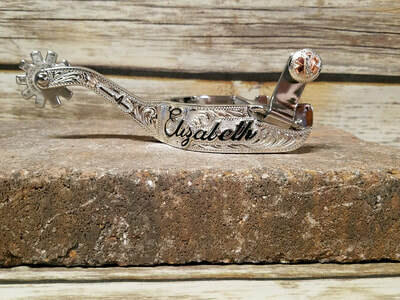 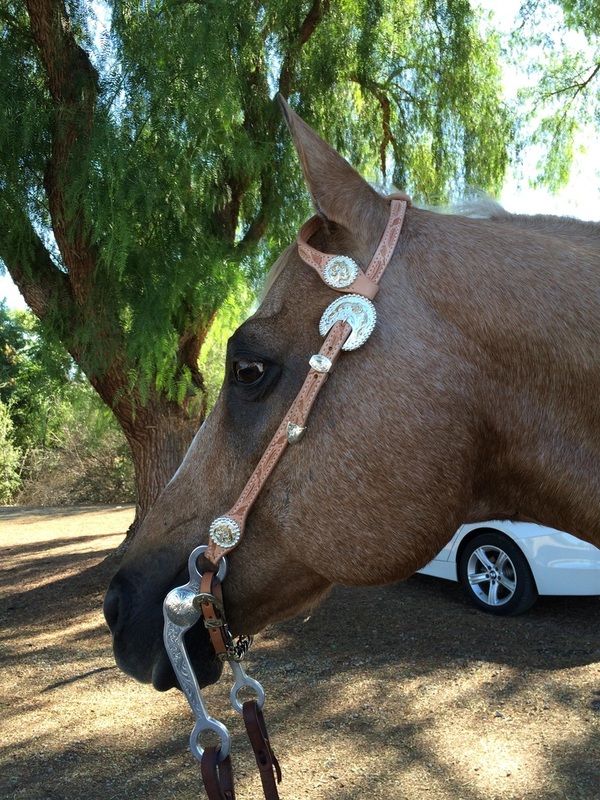 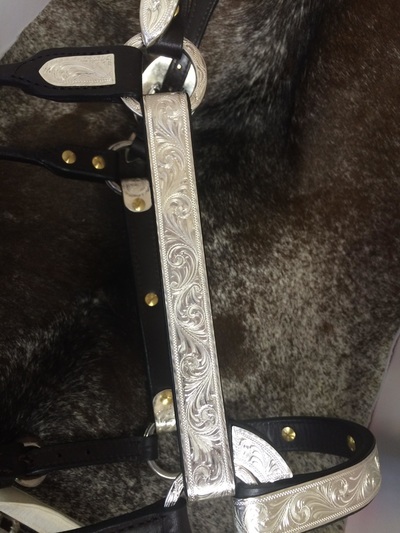 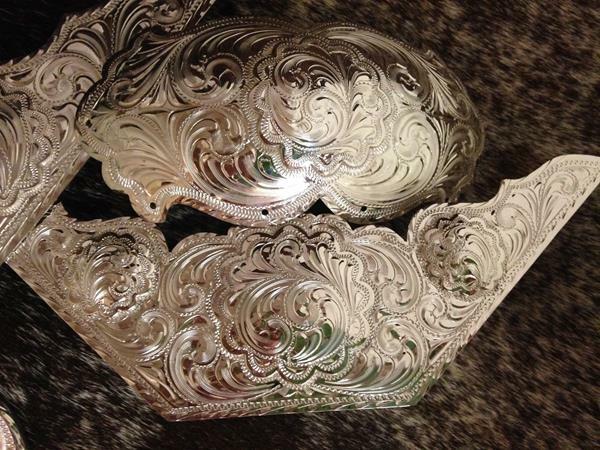 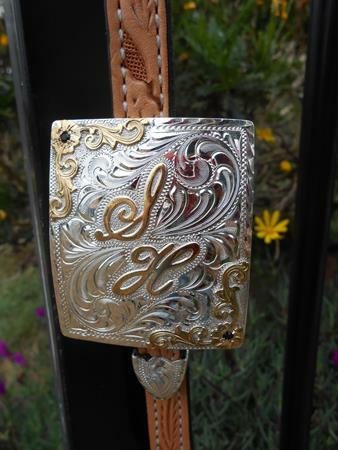 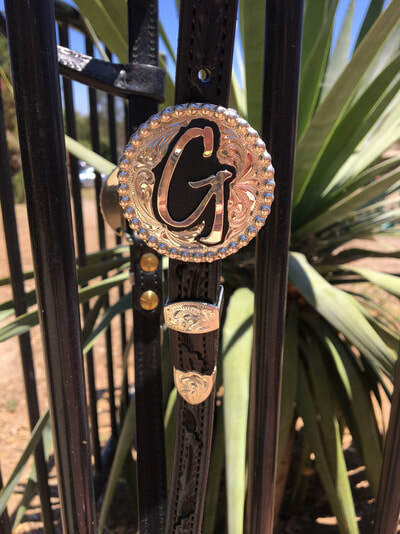 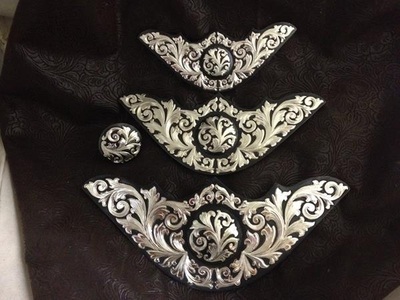 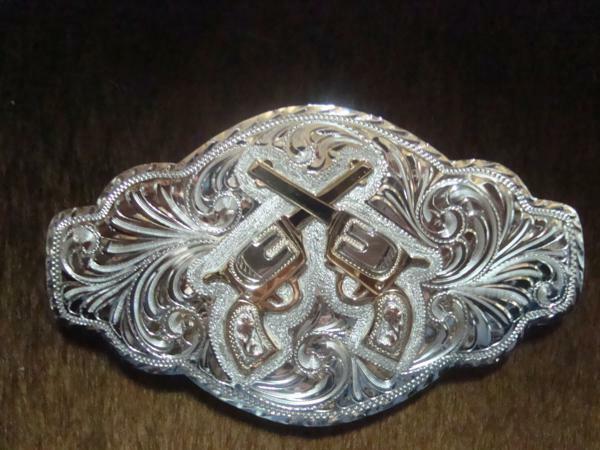 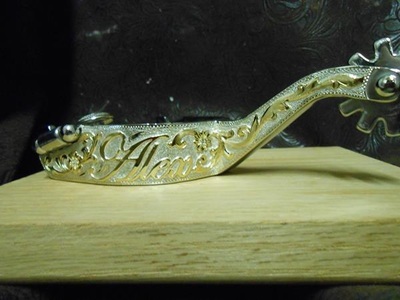 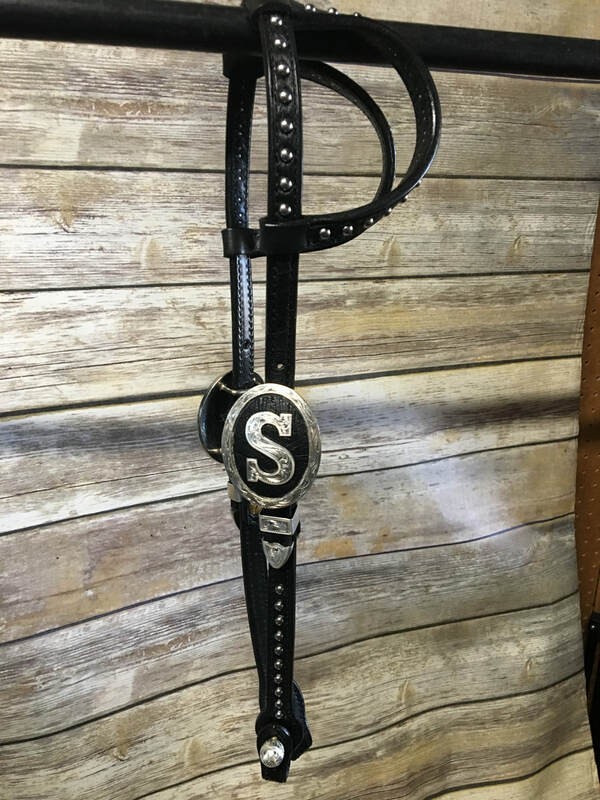 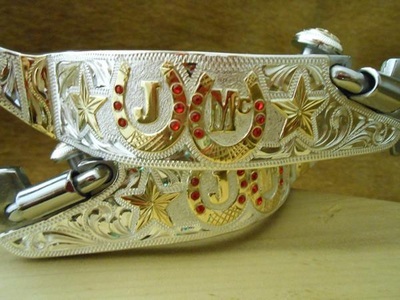 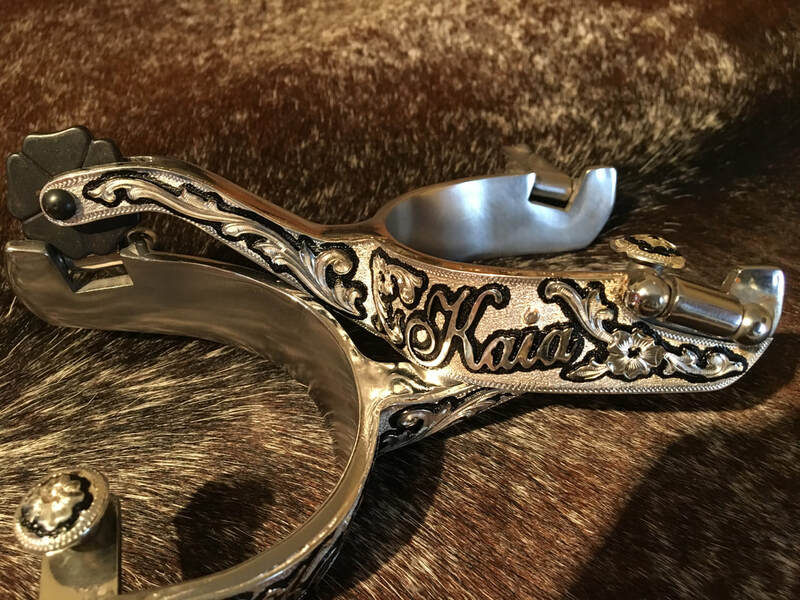 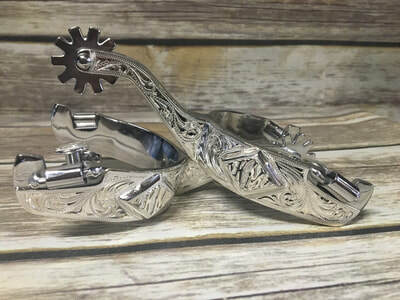 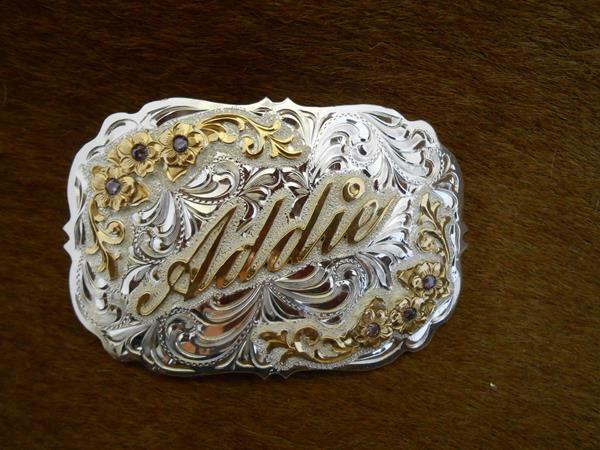 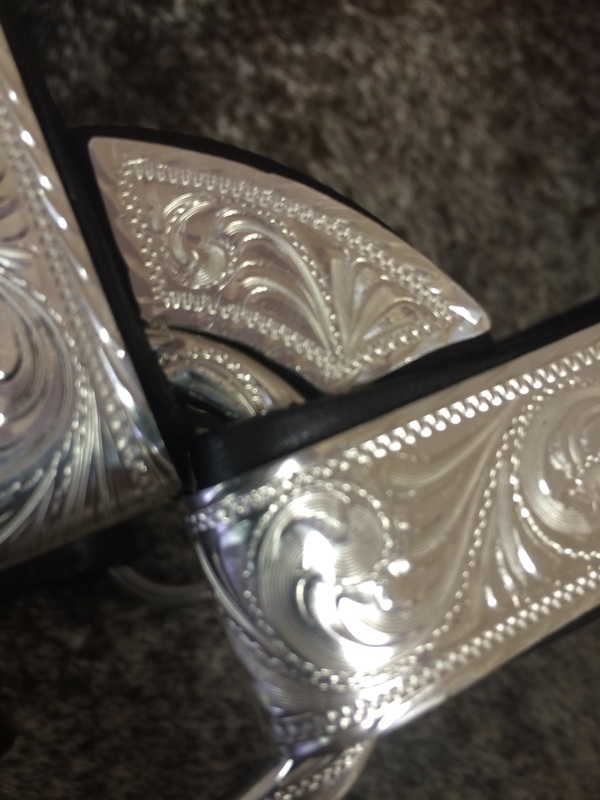 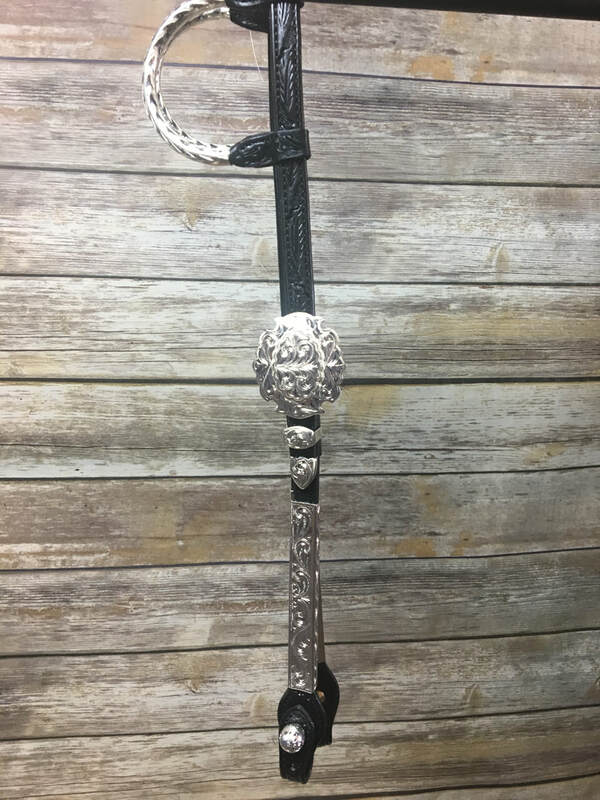 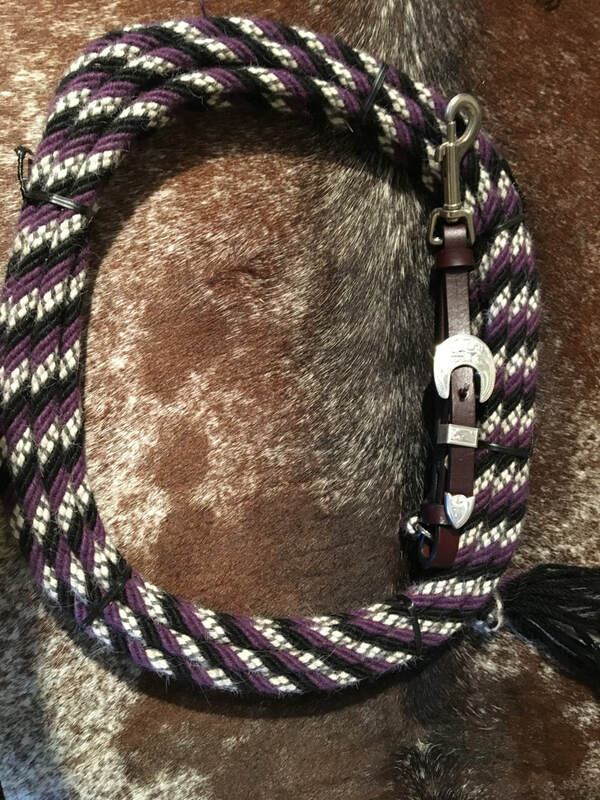 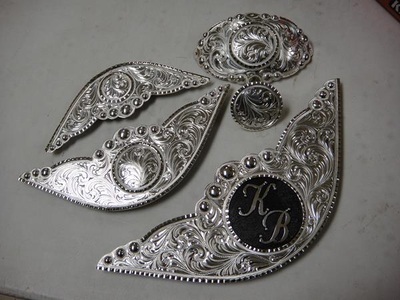 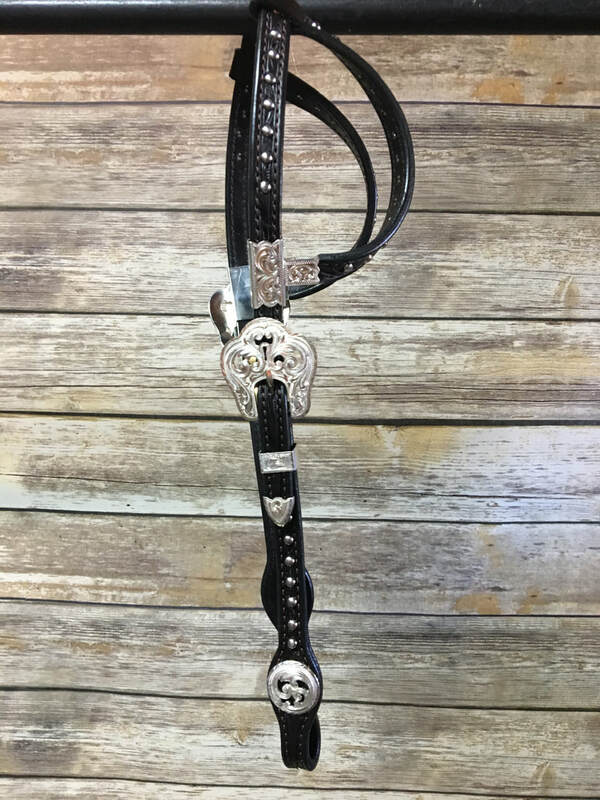 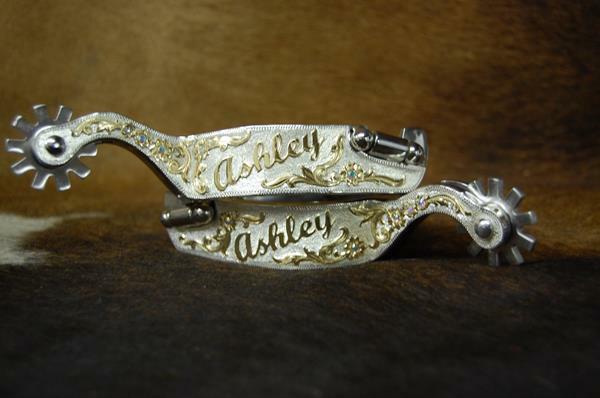 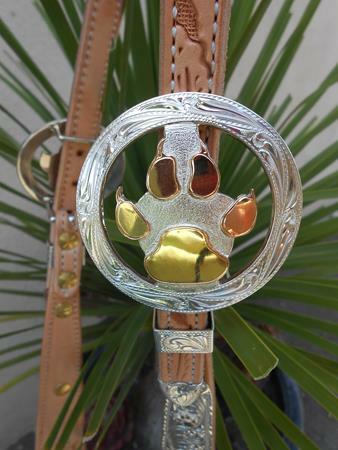 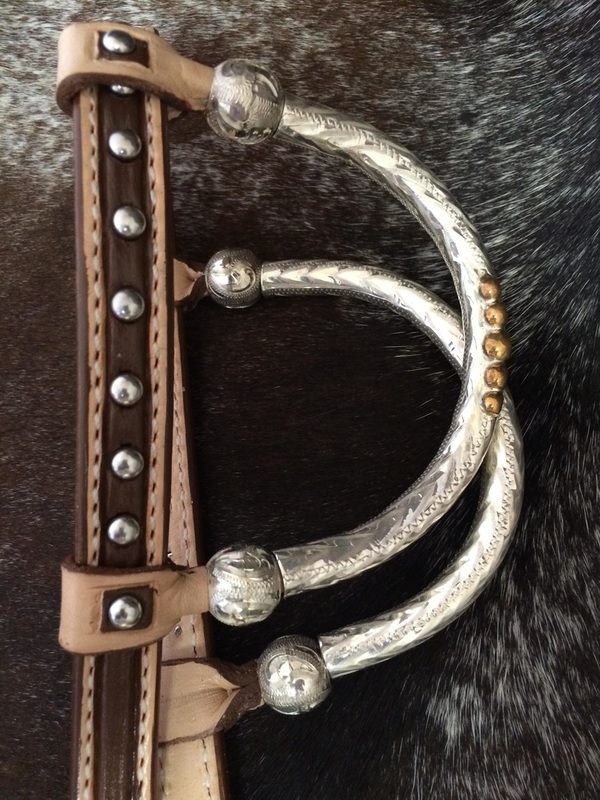 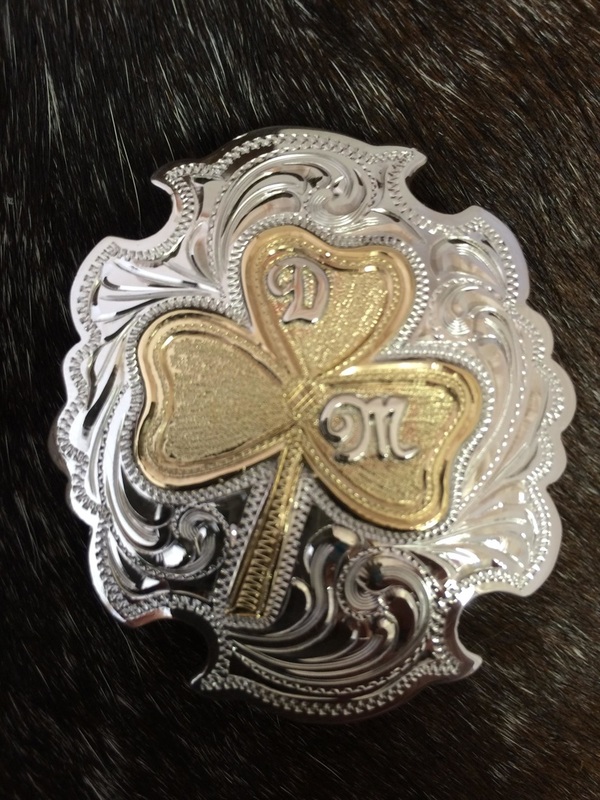 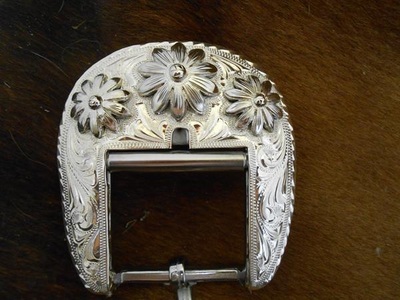 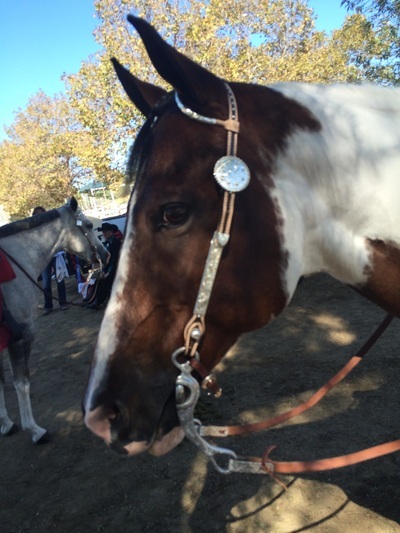 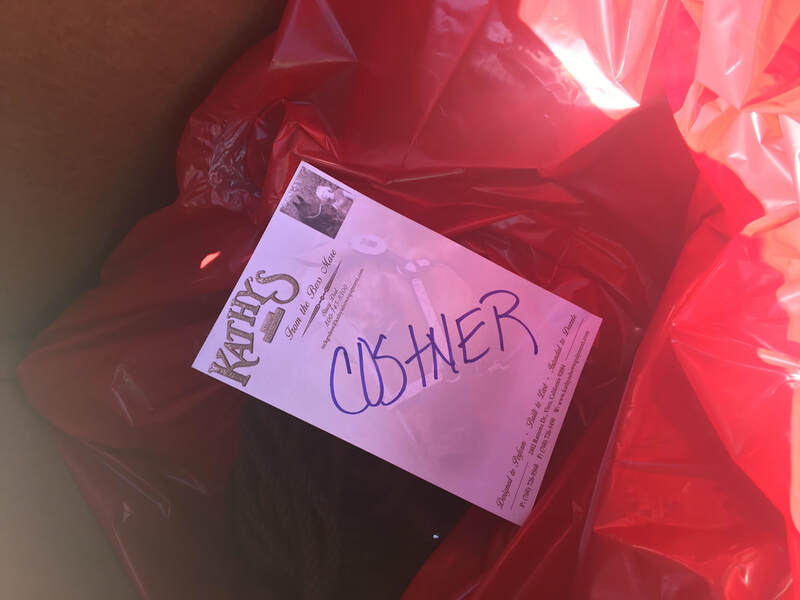 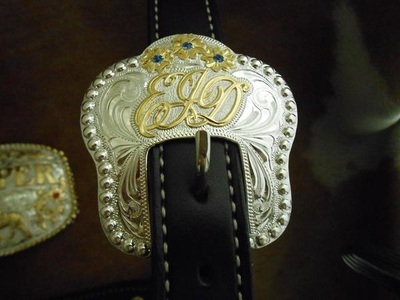 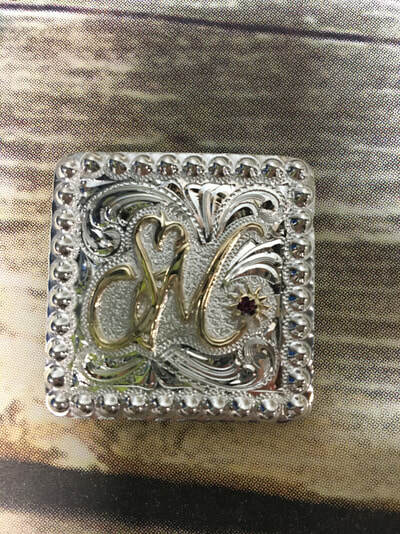 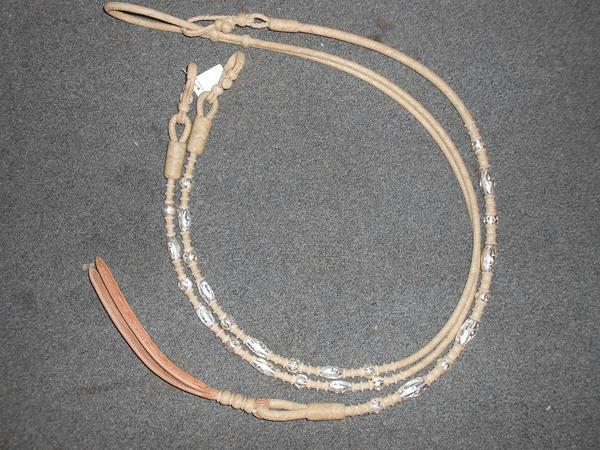 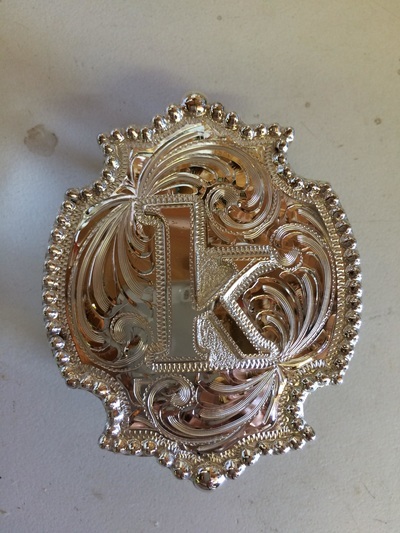 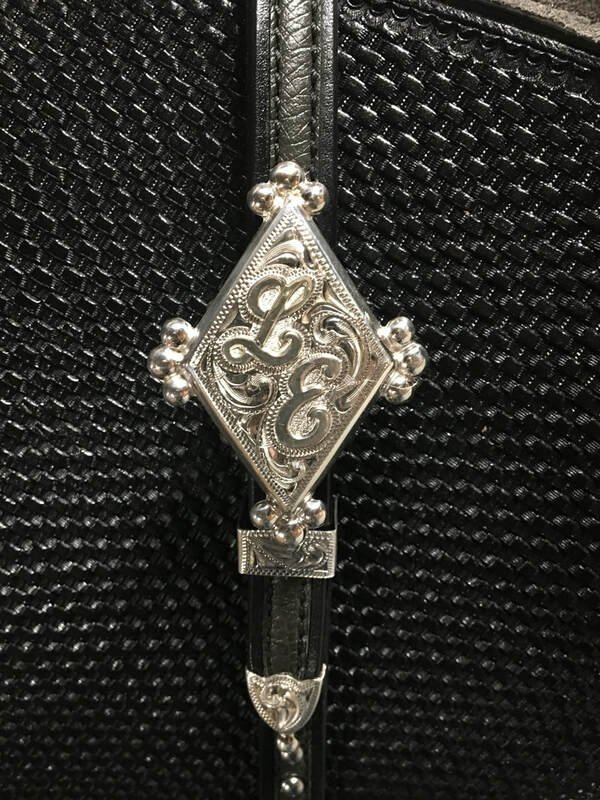 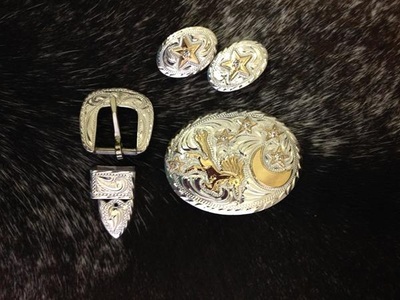 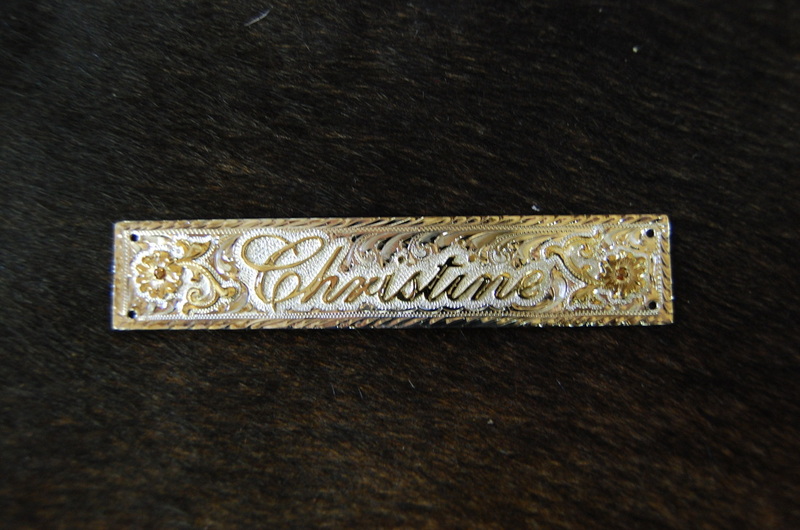 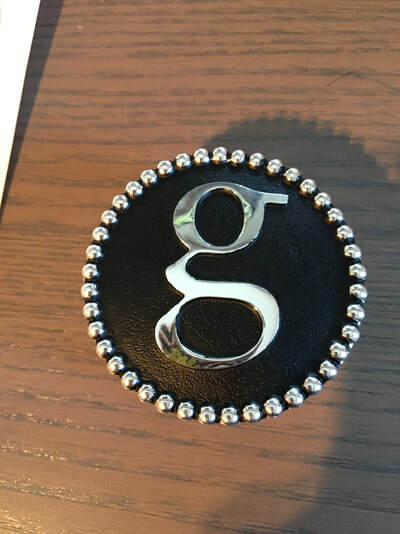 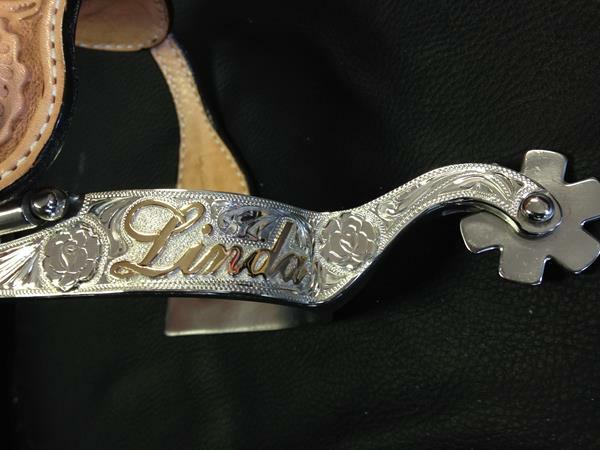 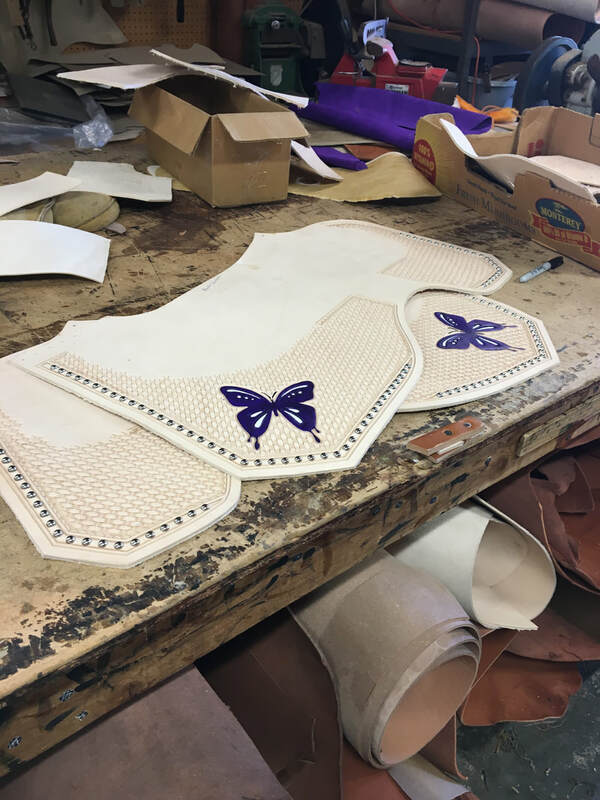 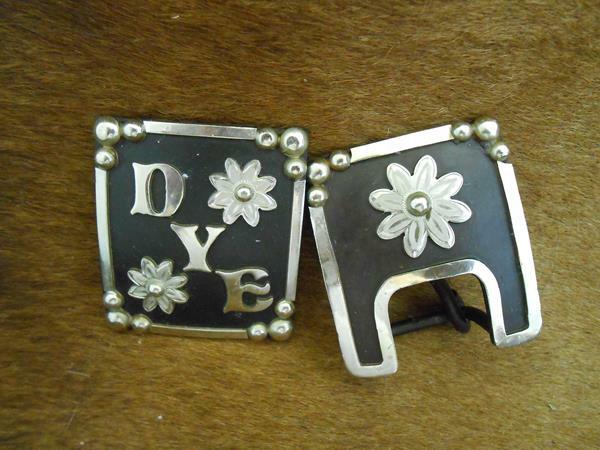 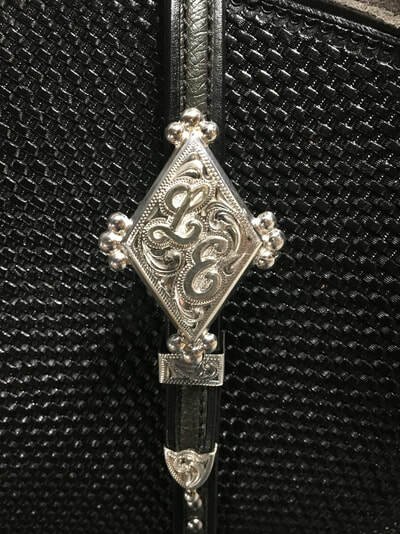 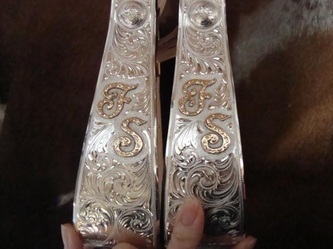 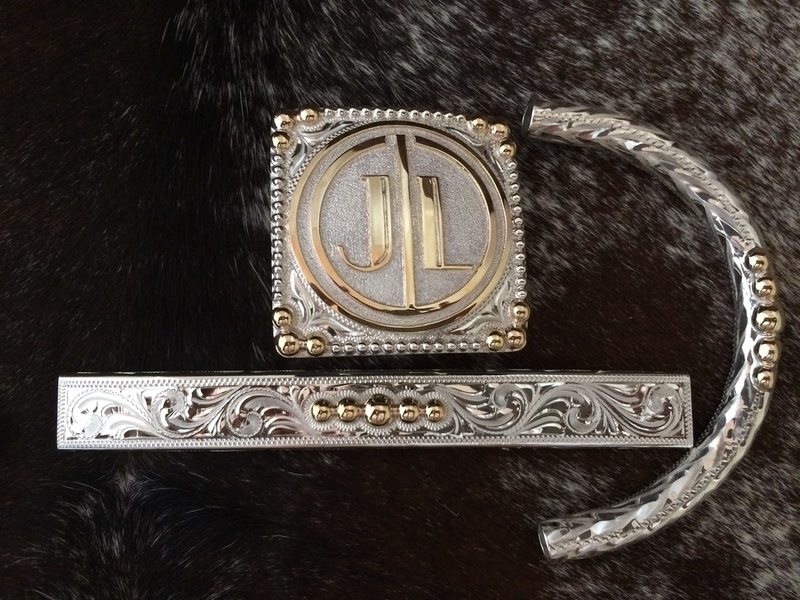 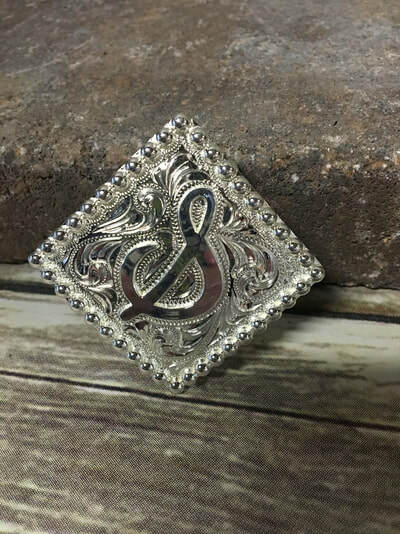 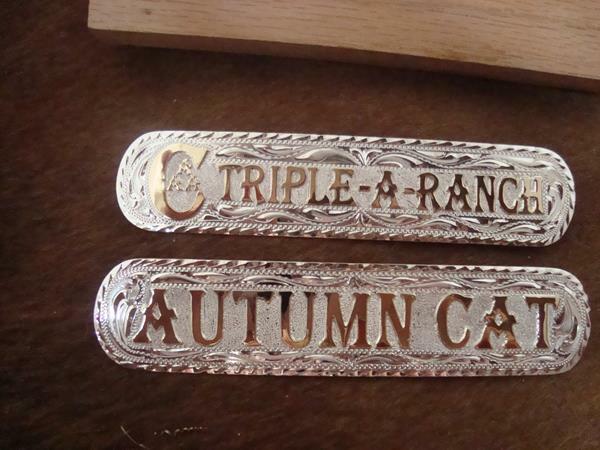 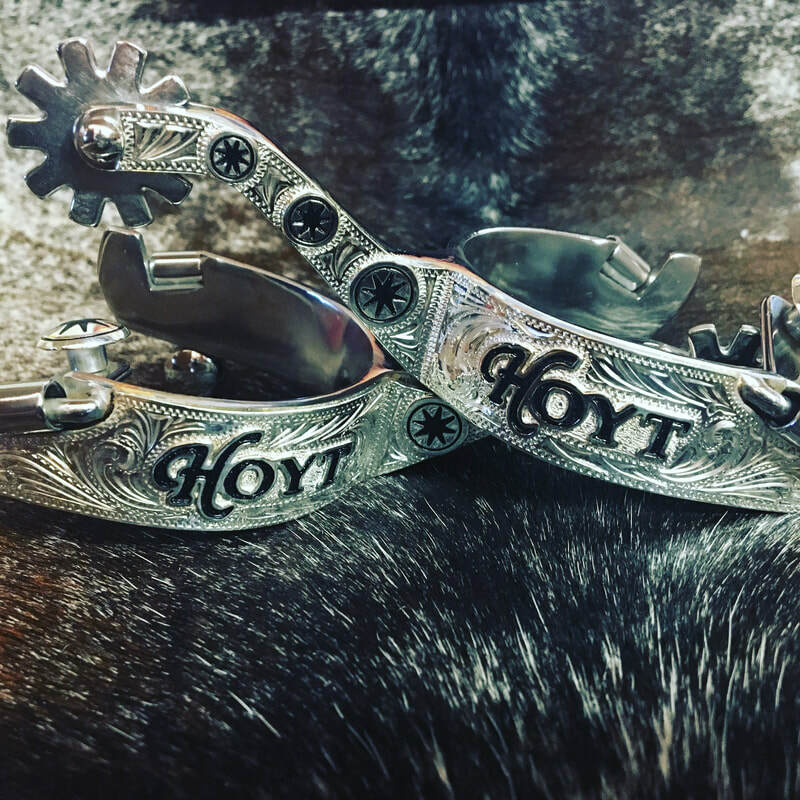 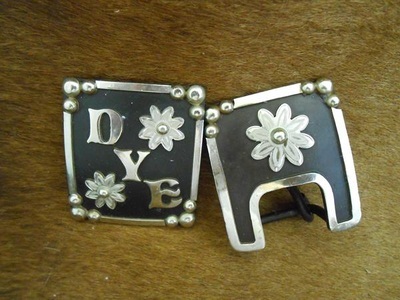 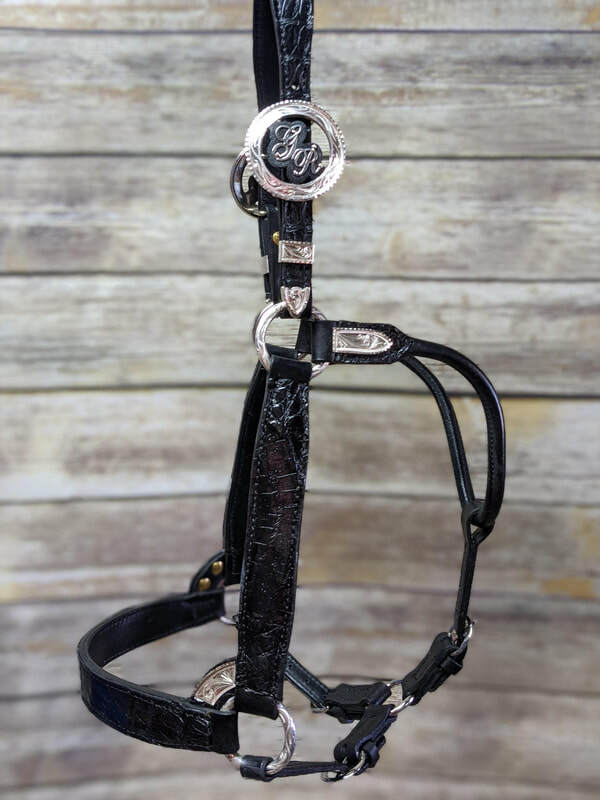 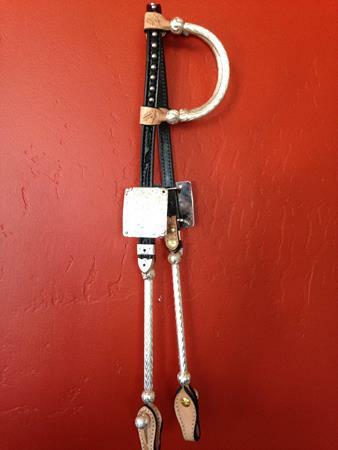 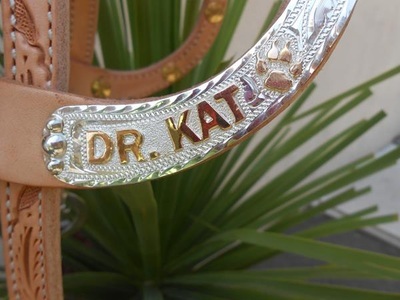 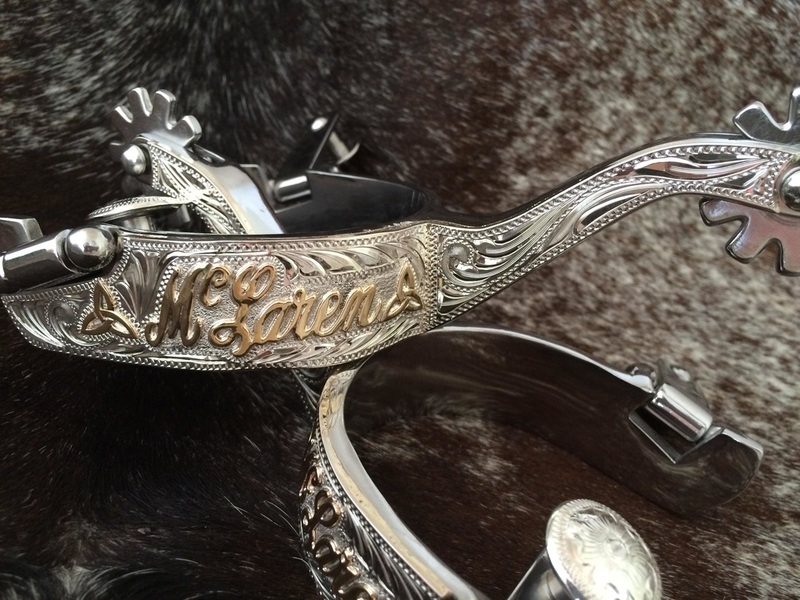 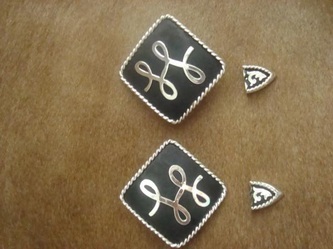 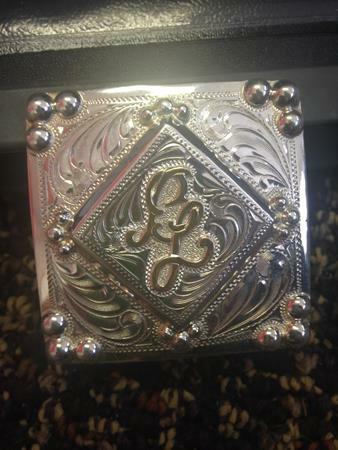 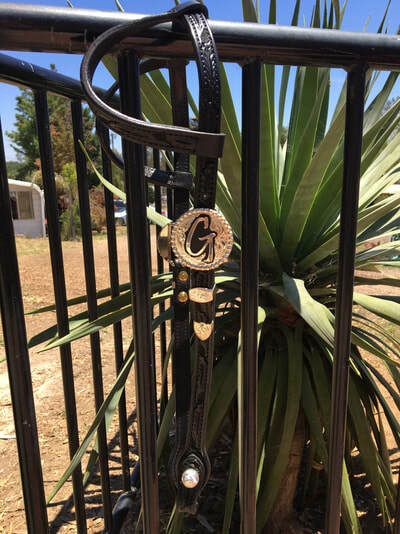 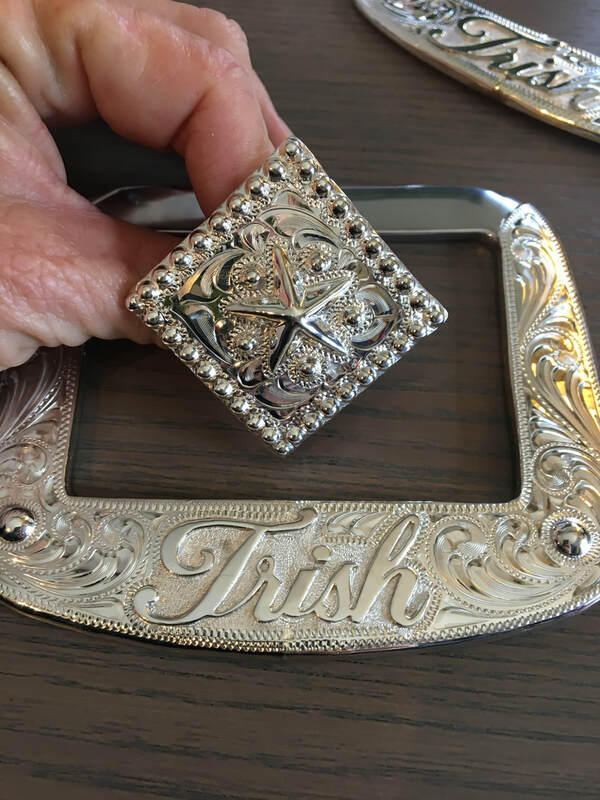 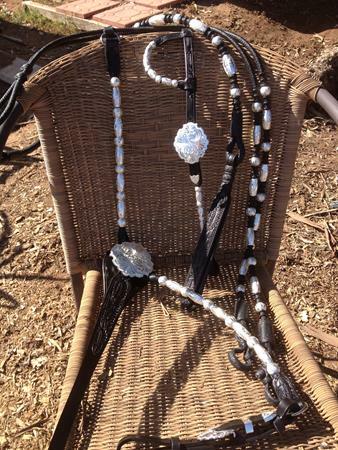 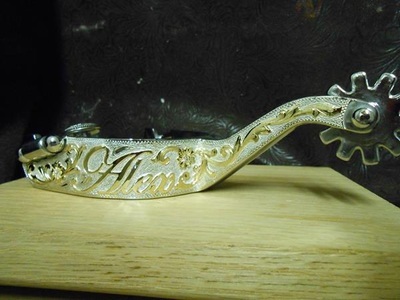 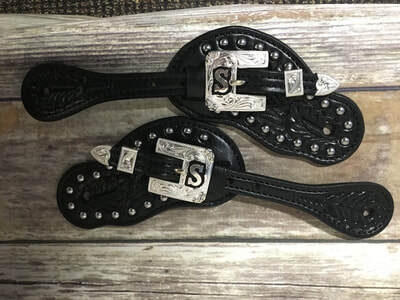 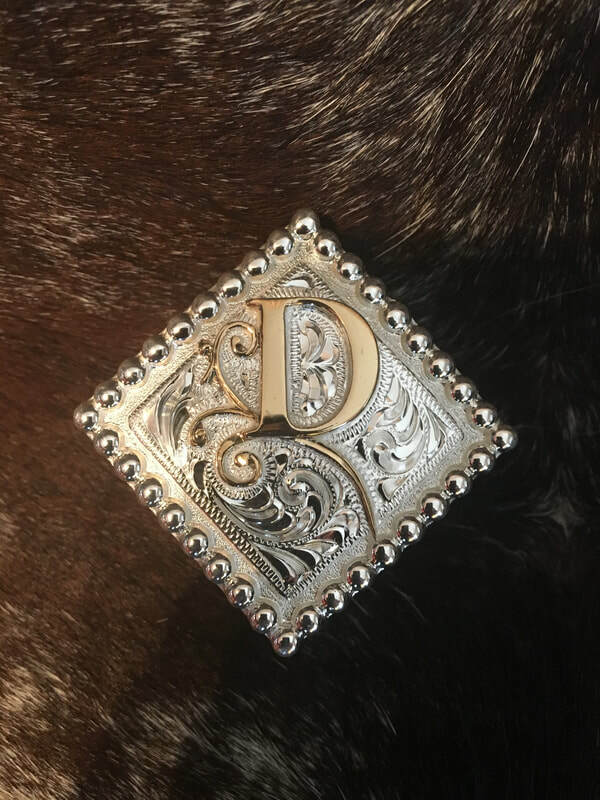 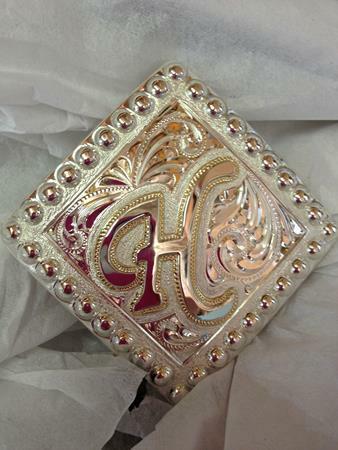 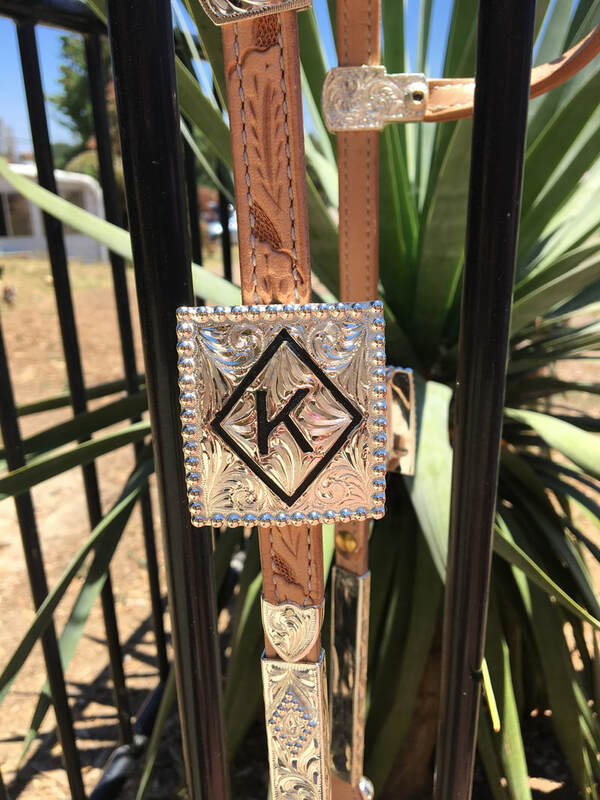 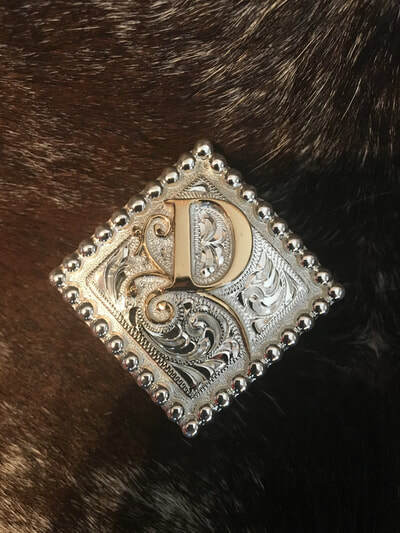 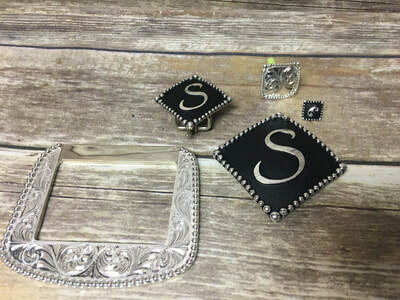 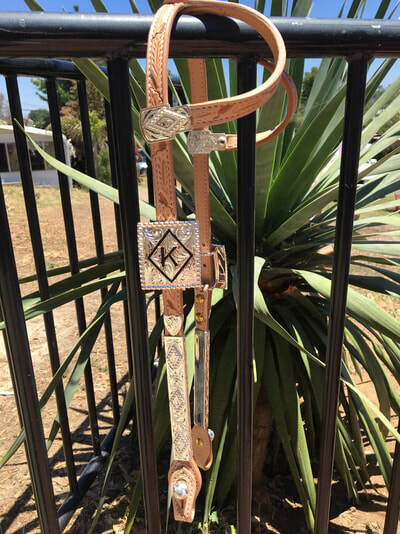 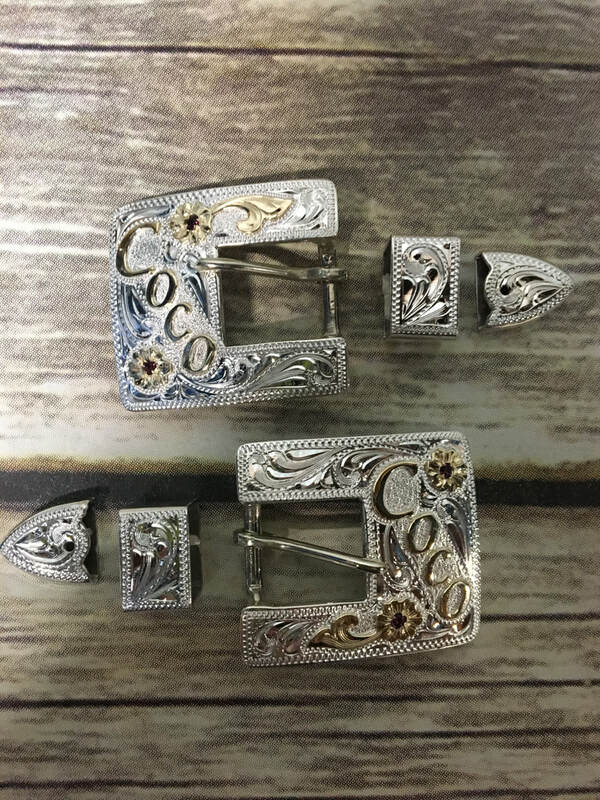 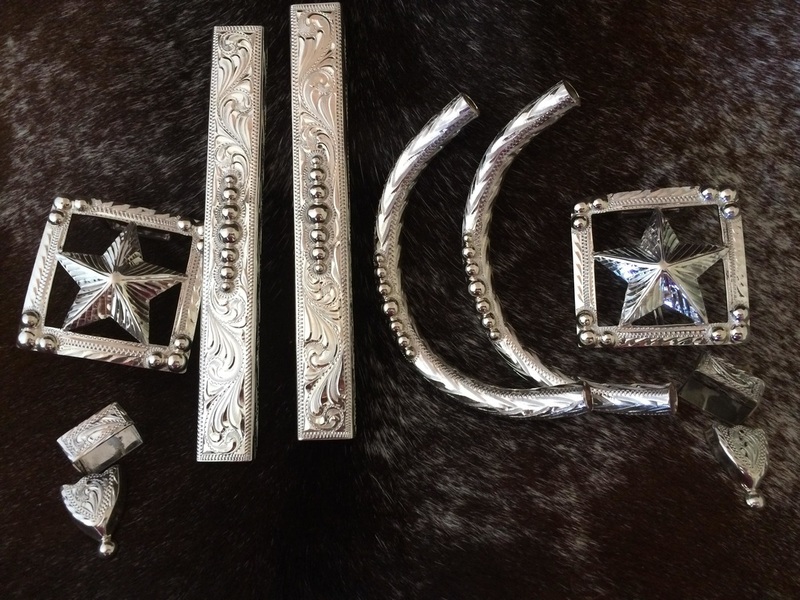 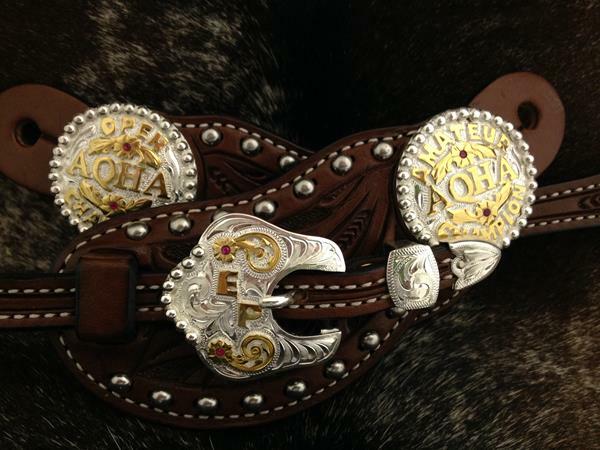 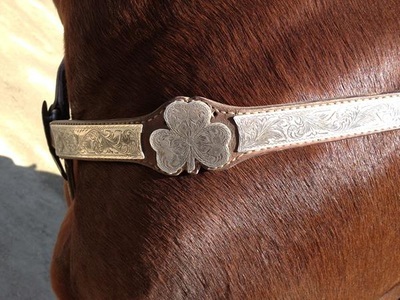 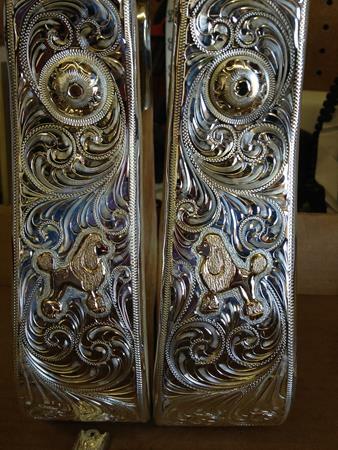 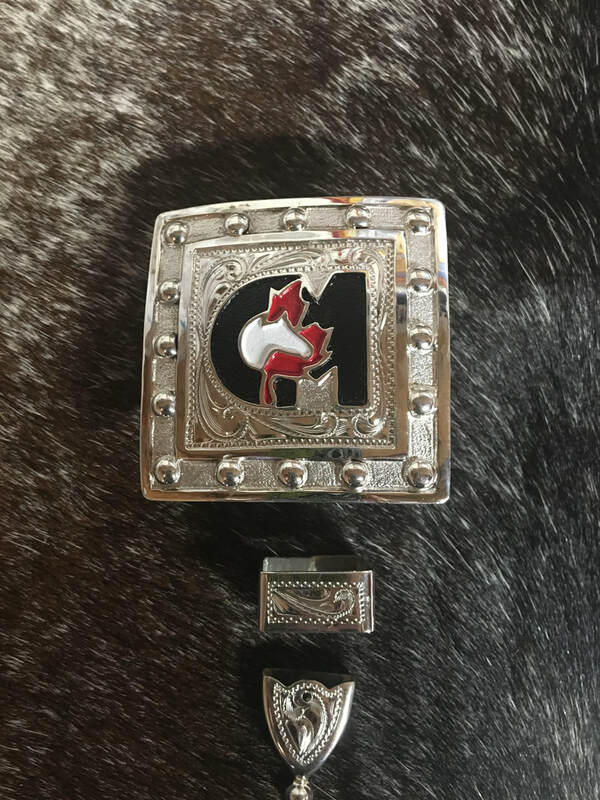 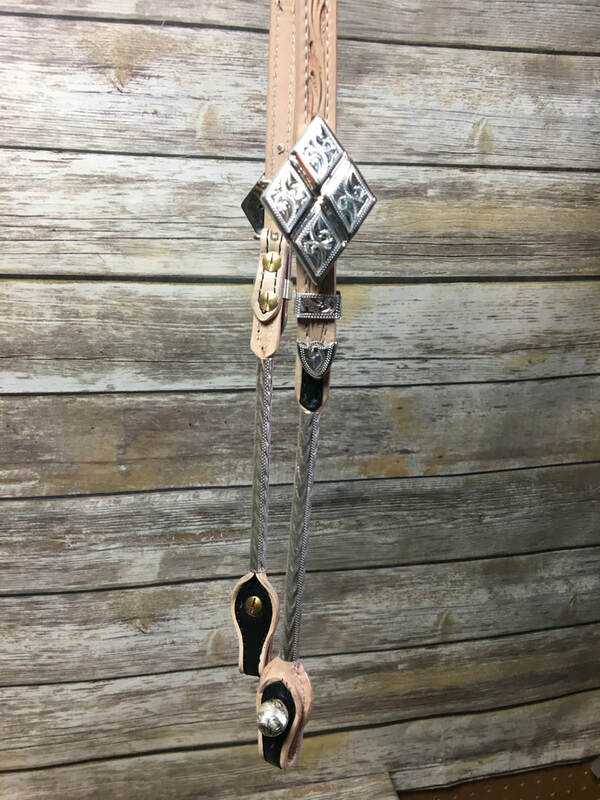 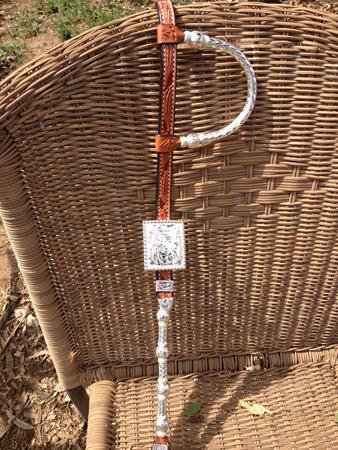 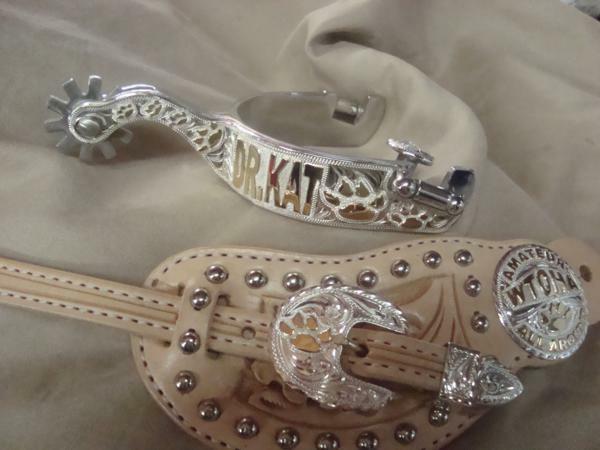 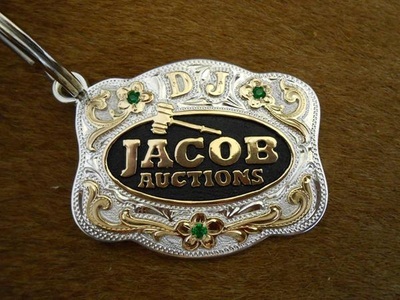 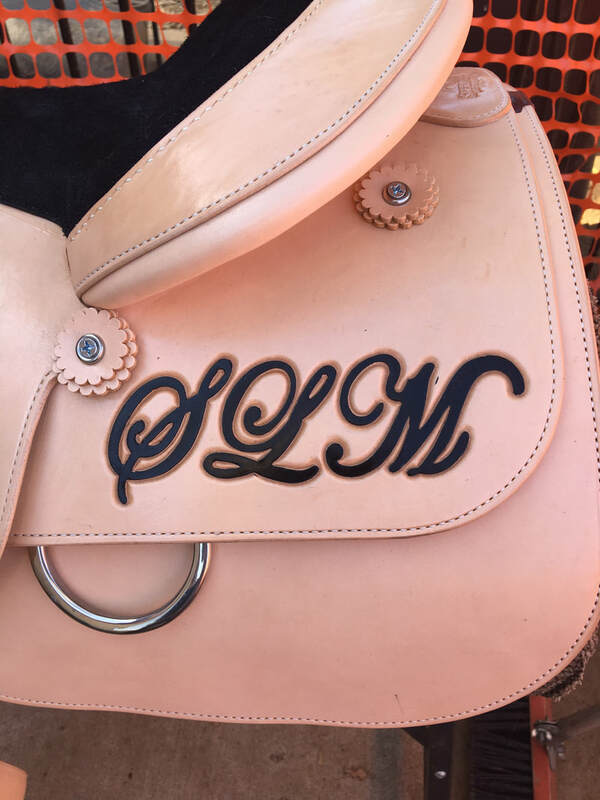 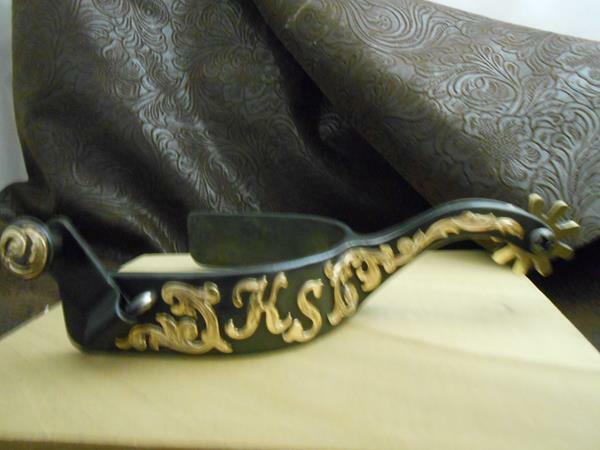 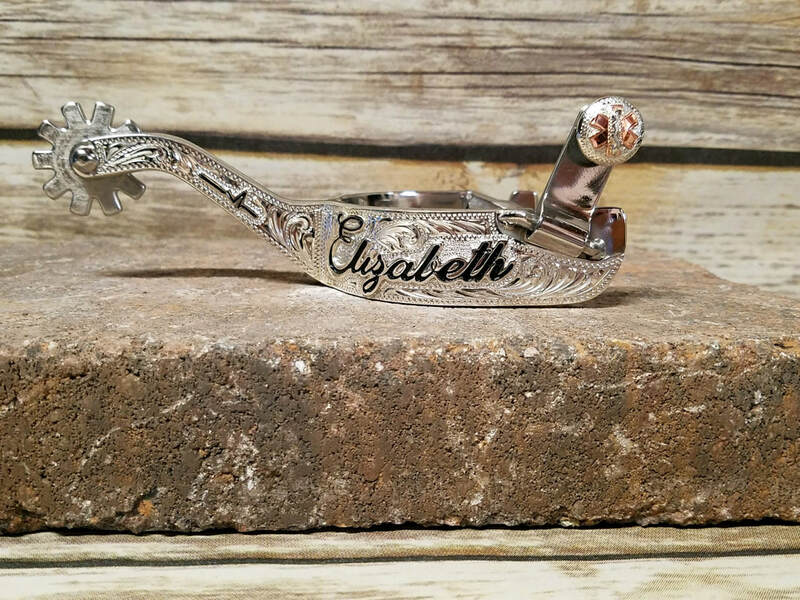 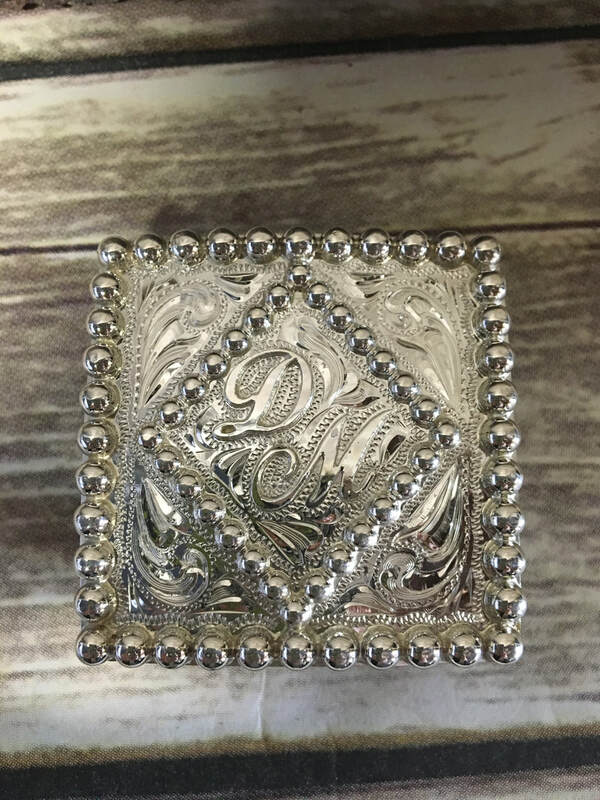 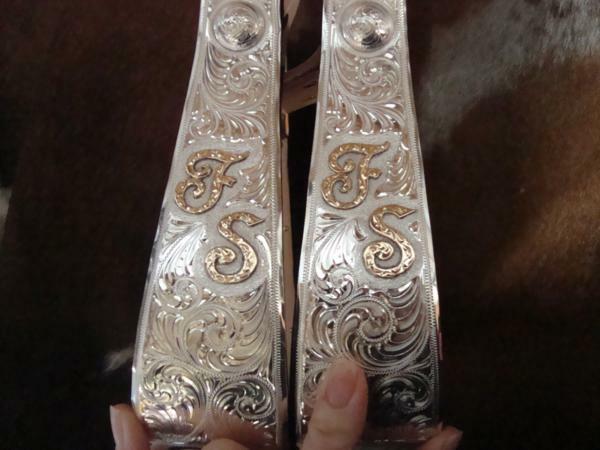 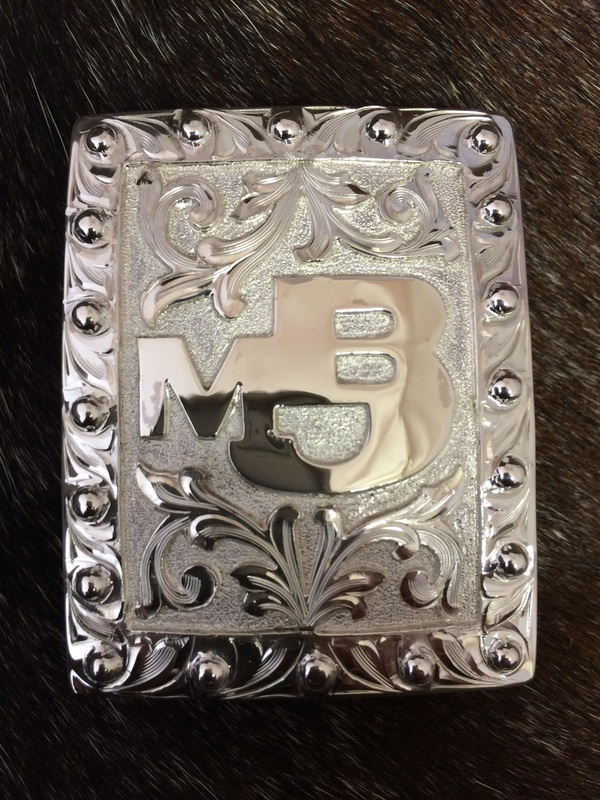 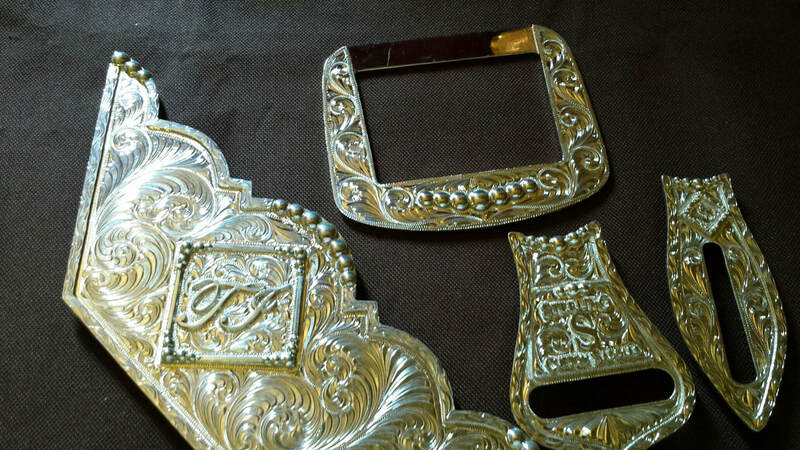 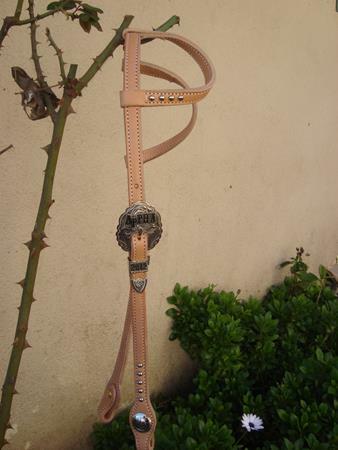 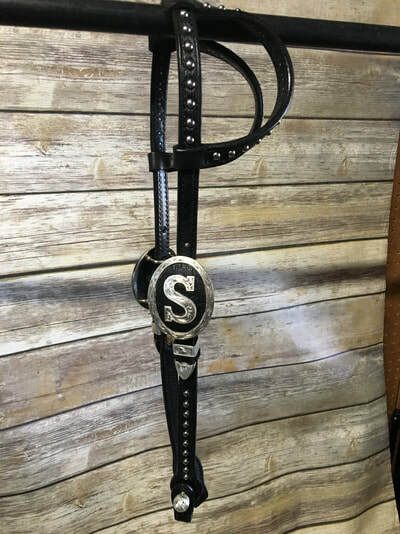 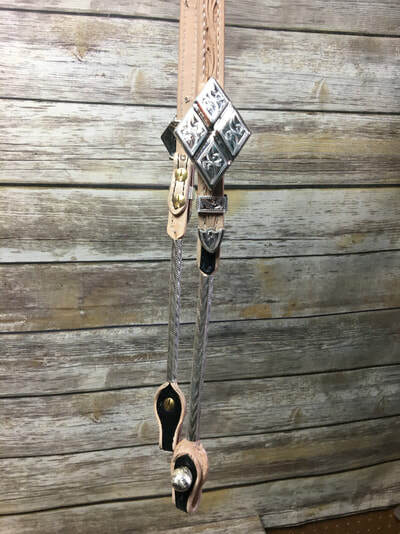 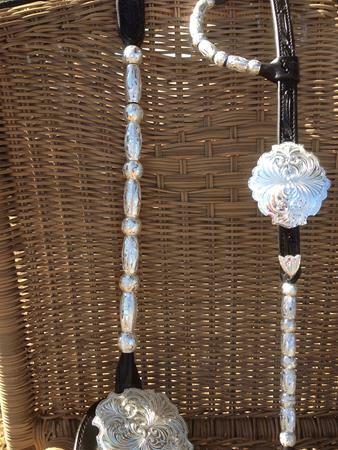 Kathy's will custom make any silver, leather, jewelry item you want in many different materials, whether it is sterling silver to economical nickel silver. 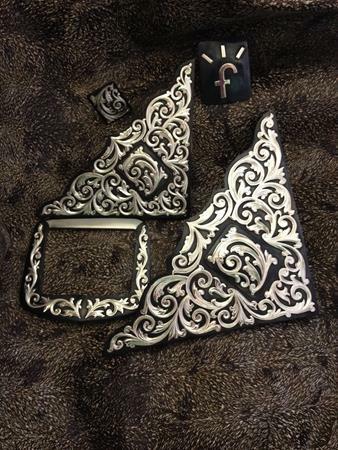 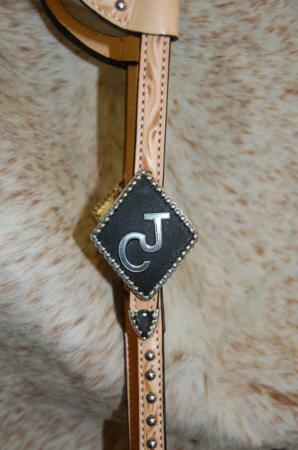 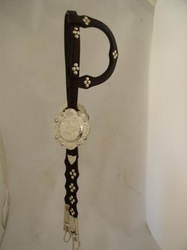 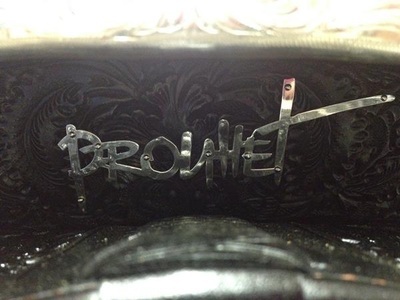 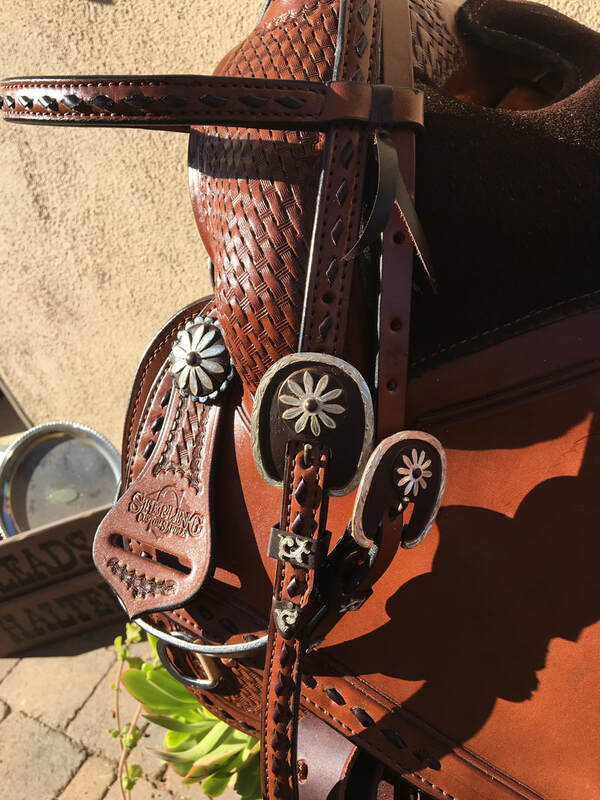 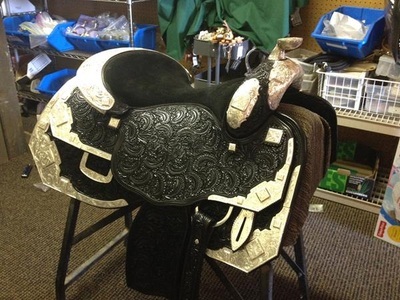 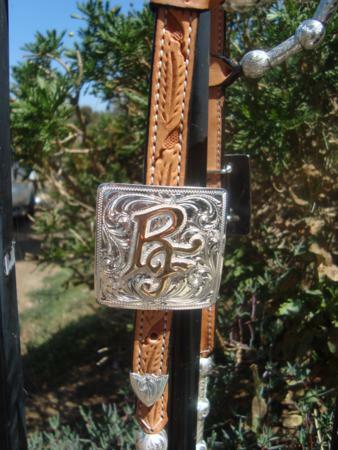 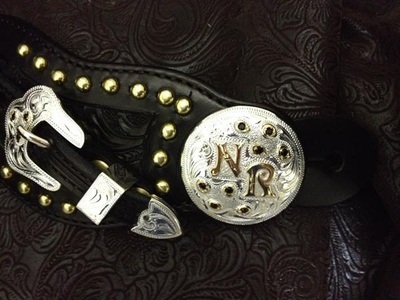 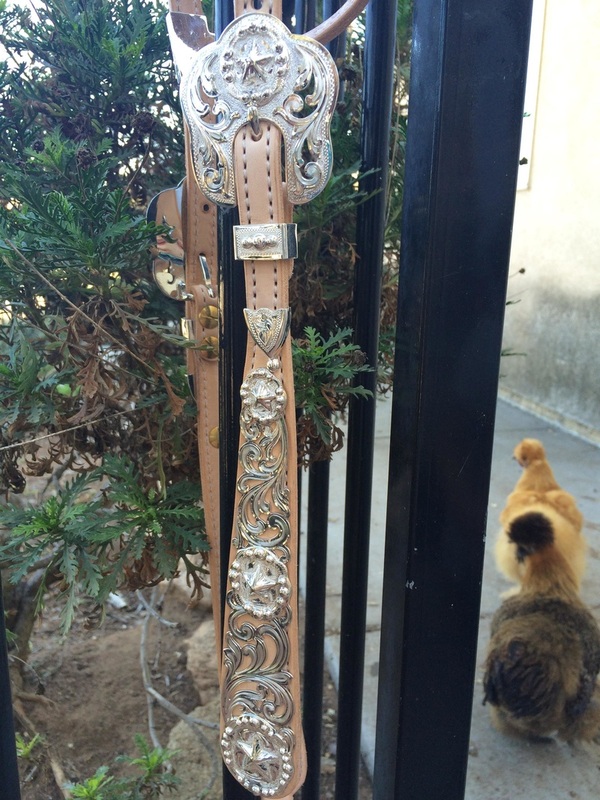 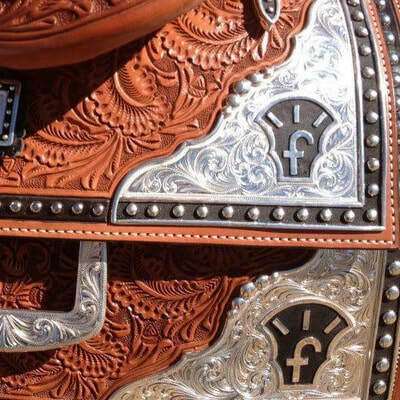 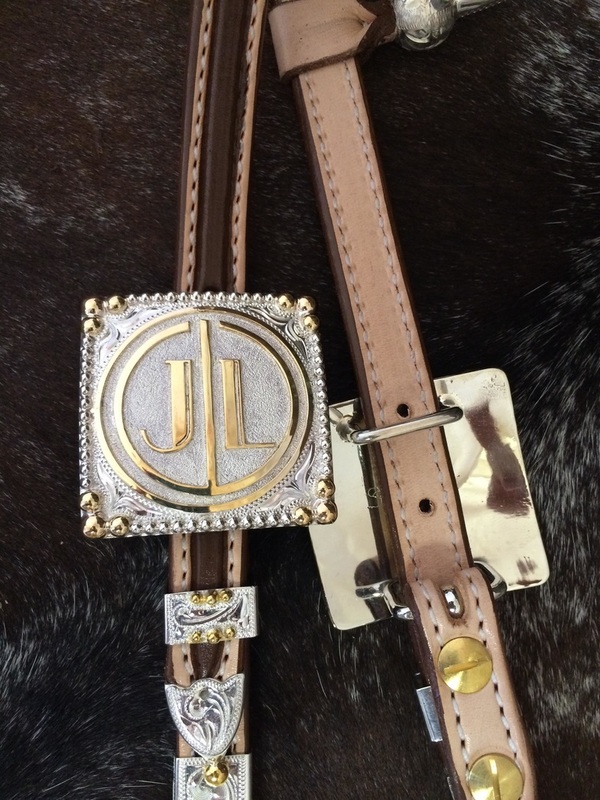 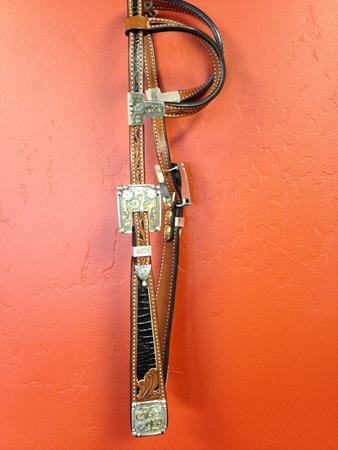 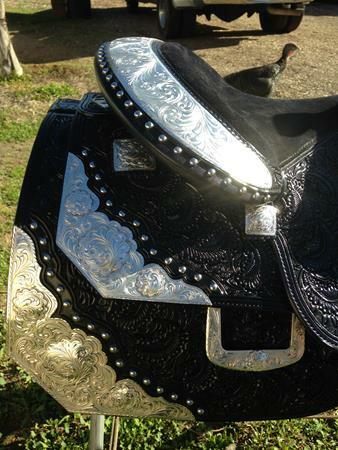 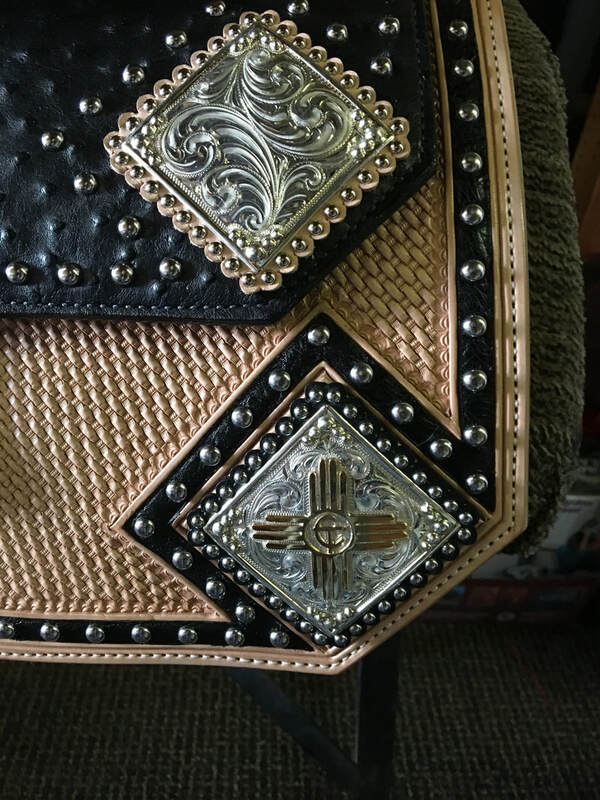 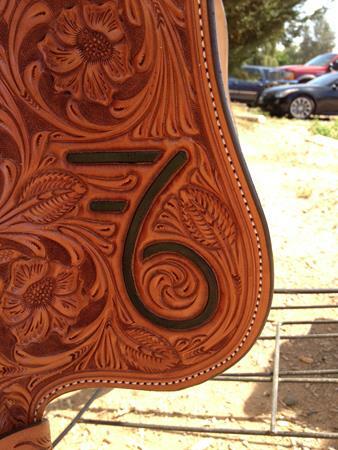 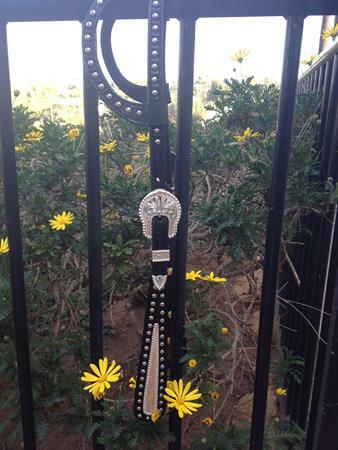 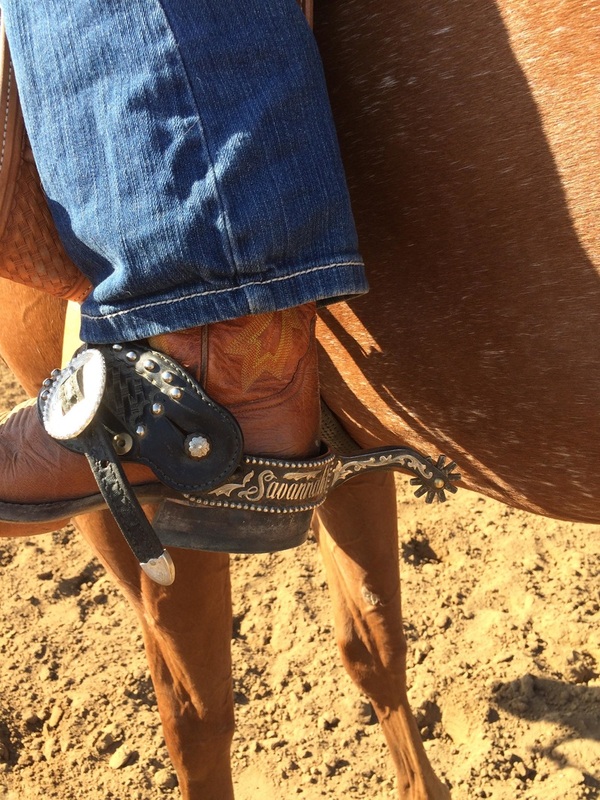 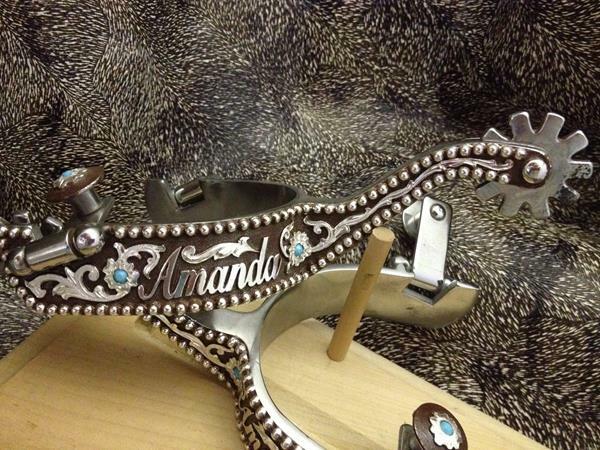 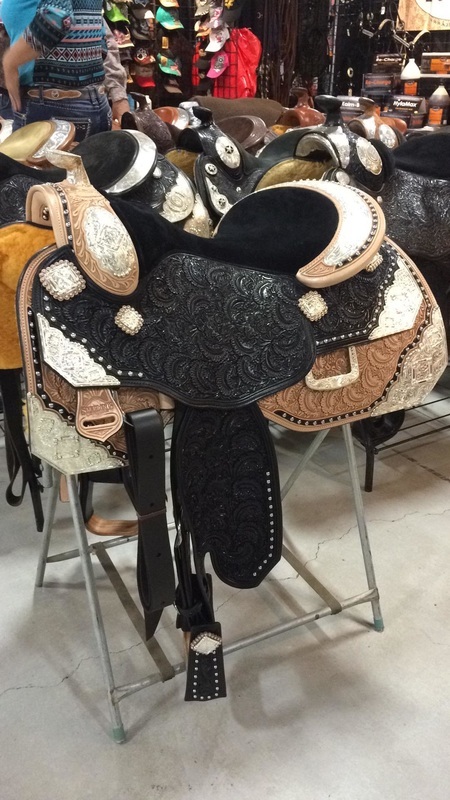 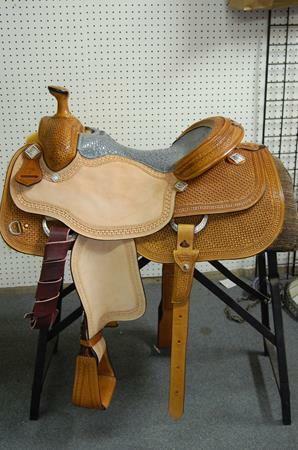 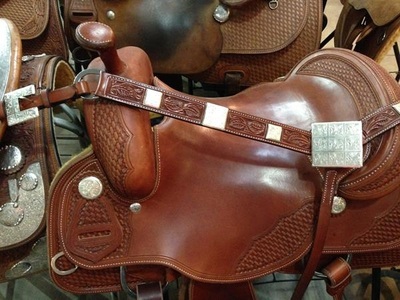 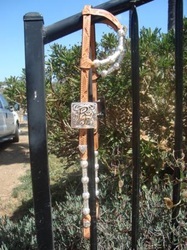 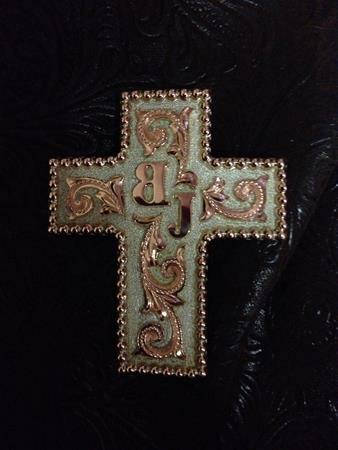 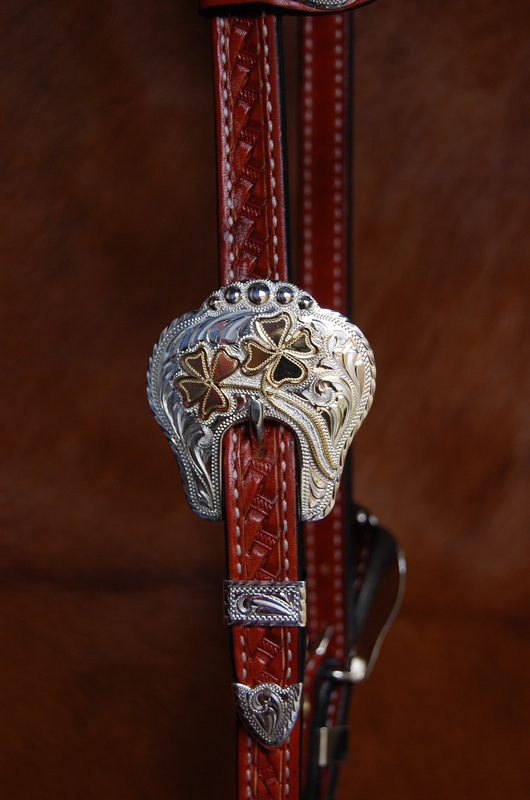 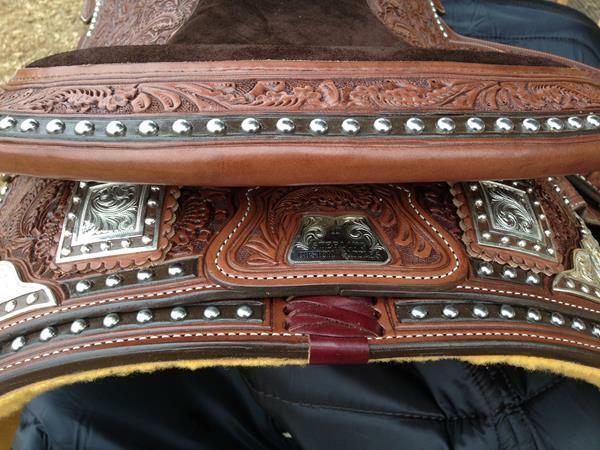 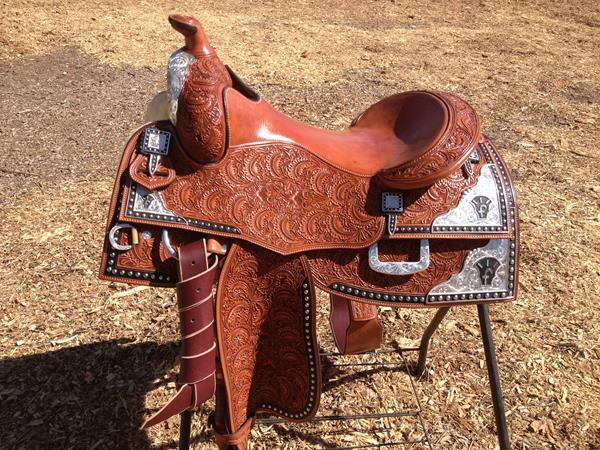 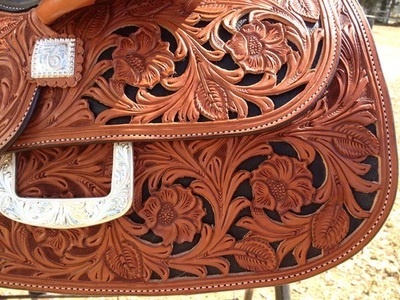 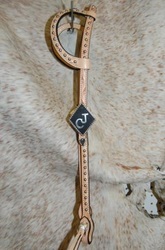 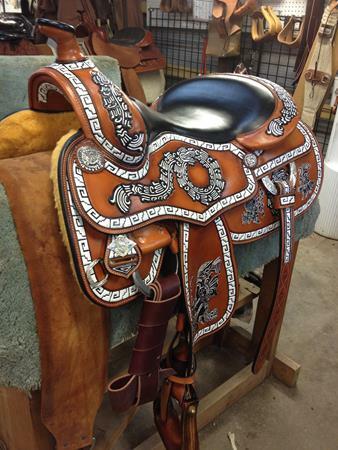 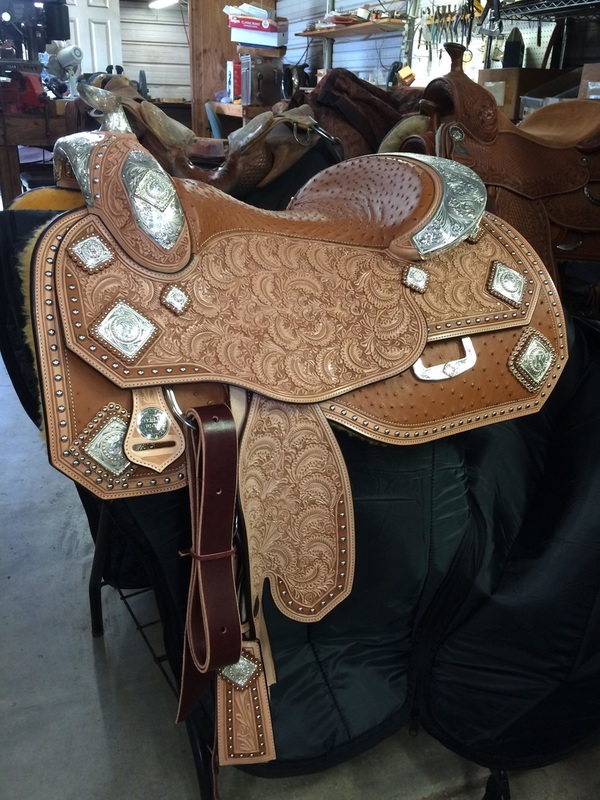 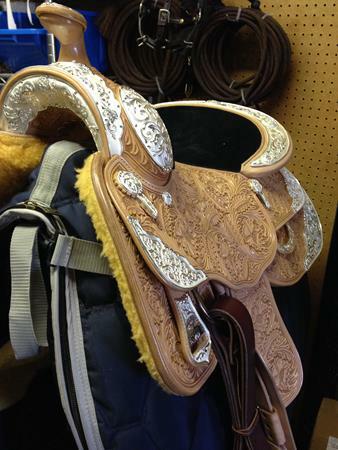 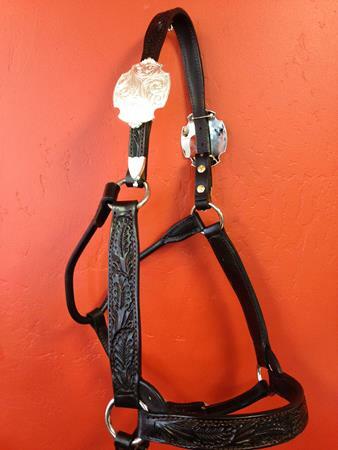 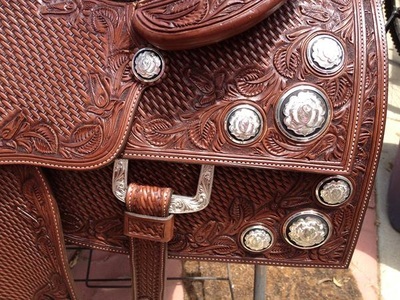 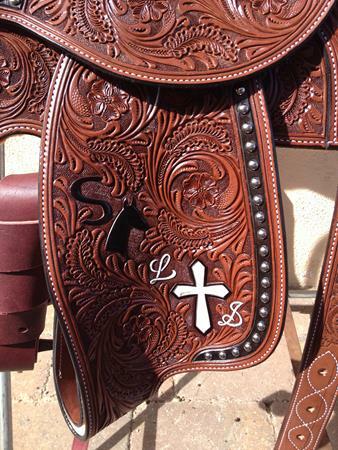 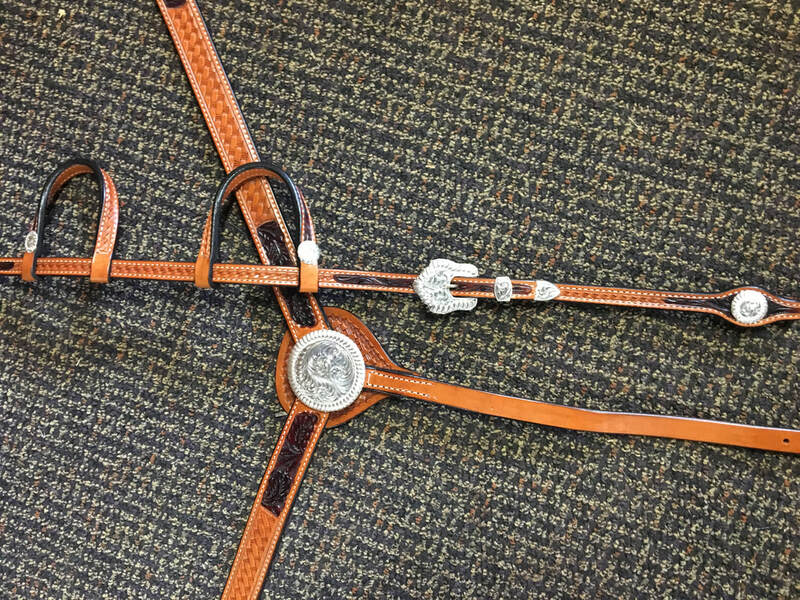 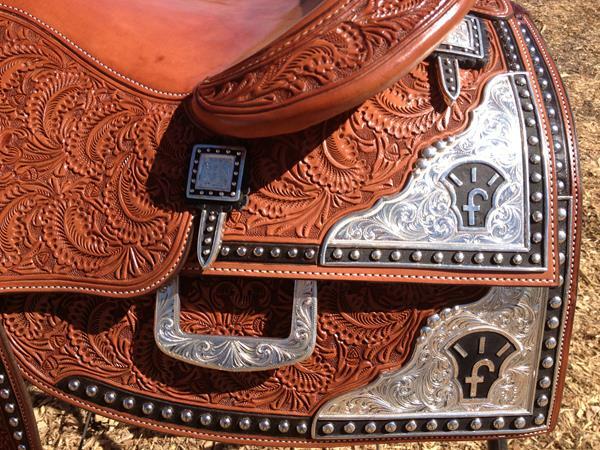 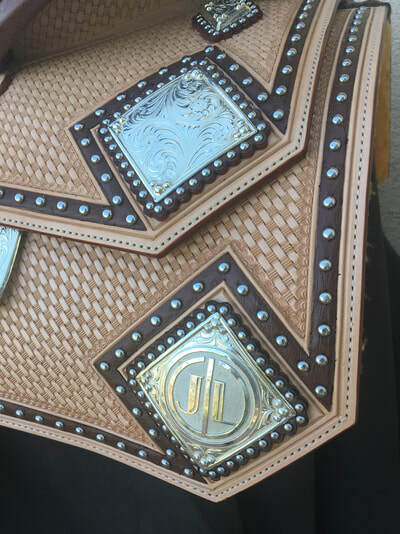 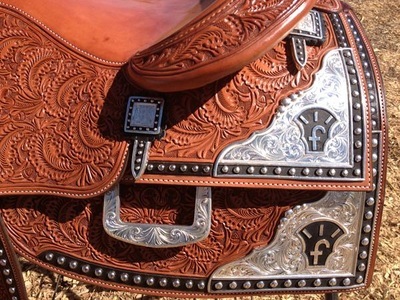 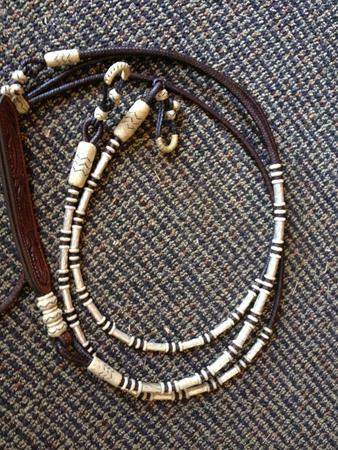 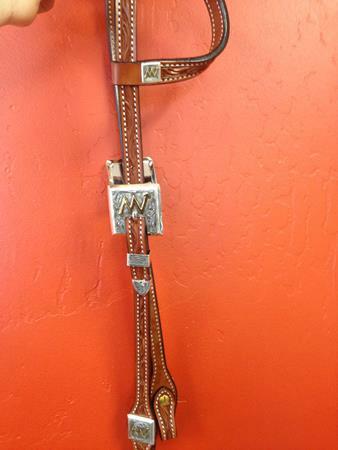 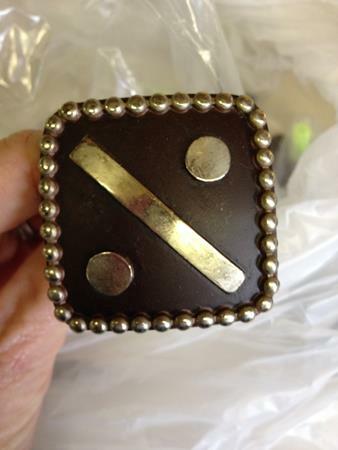 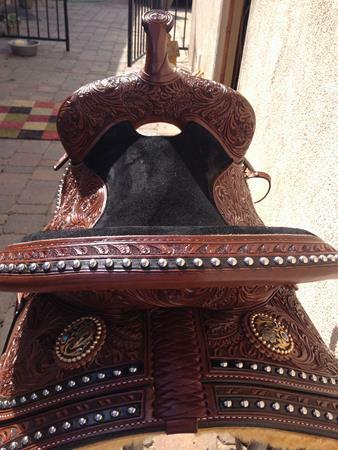 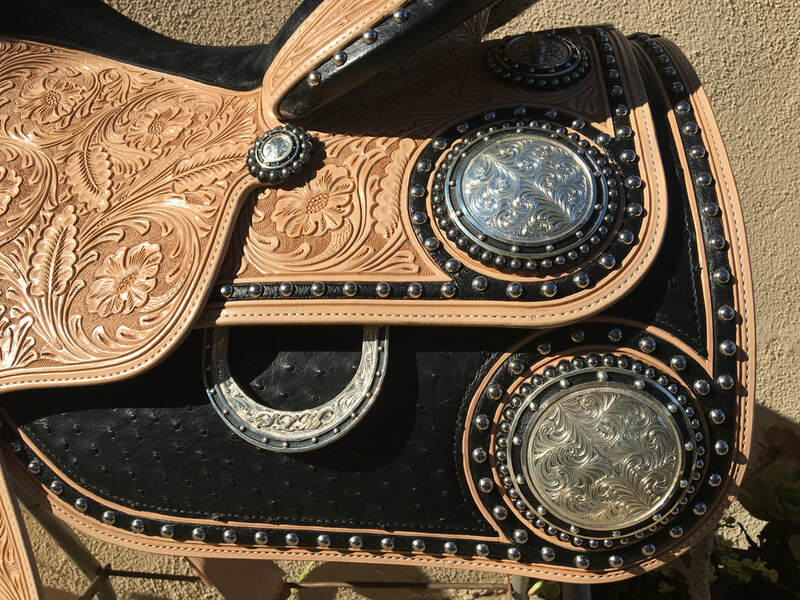 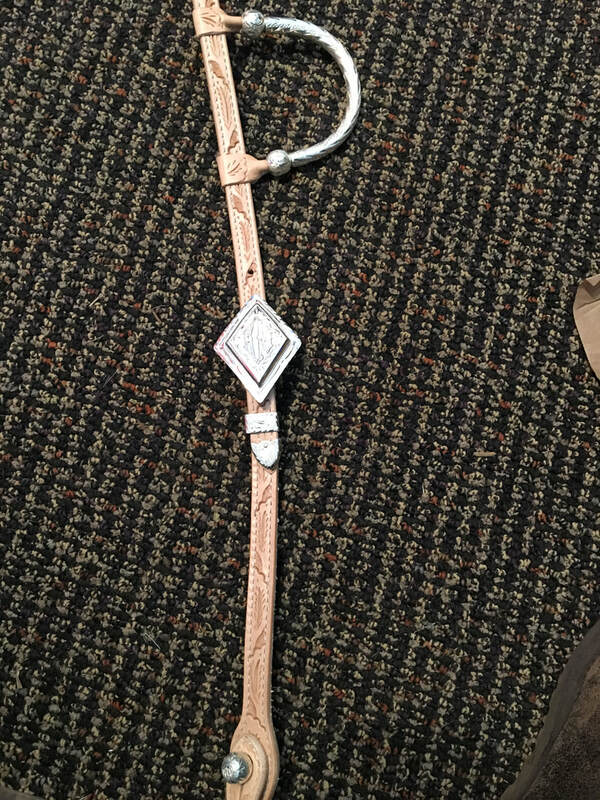 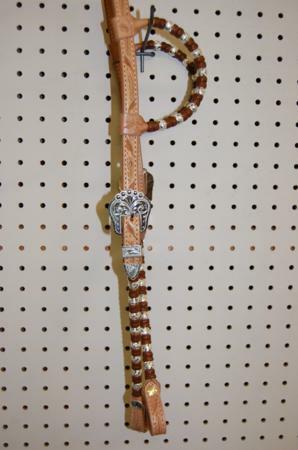 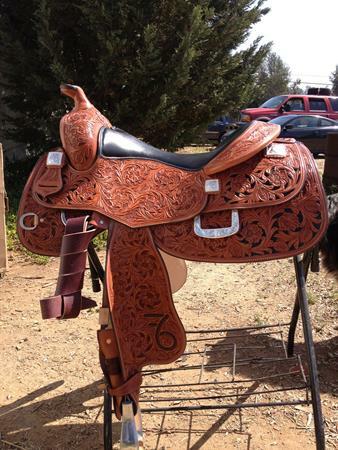 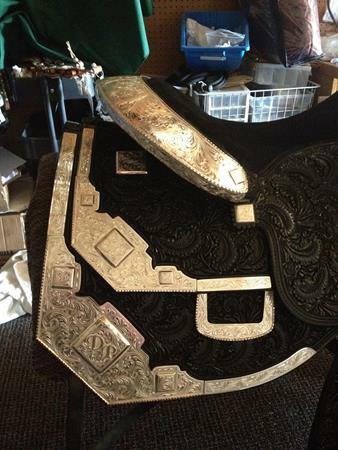 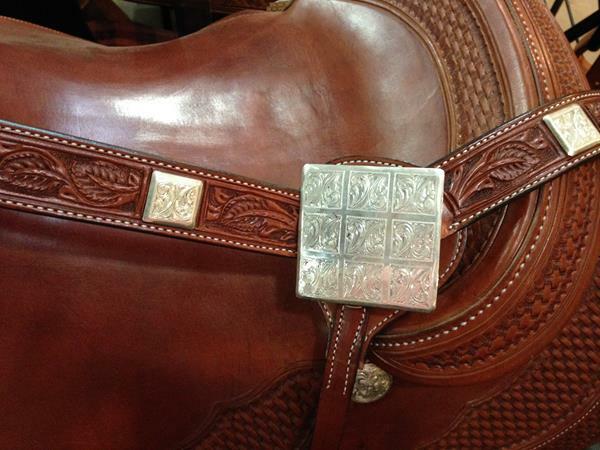 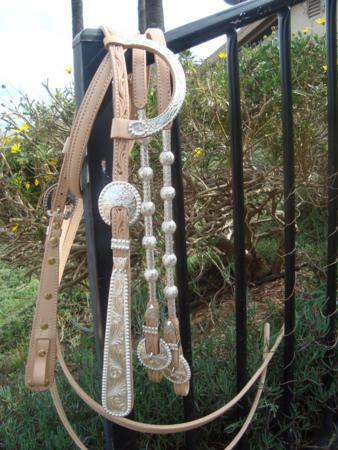 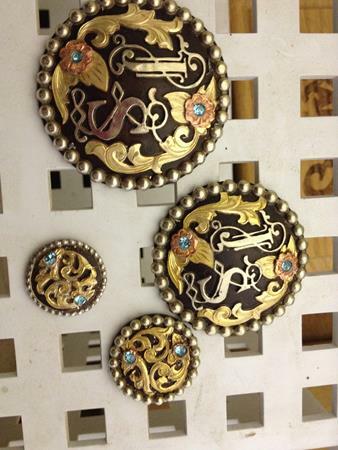 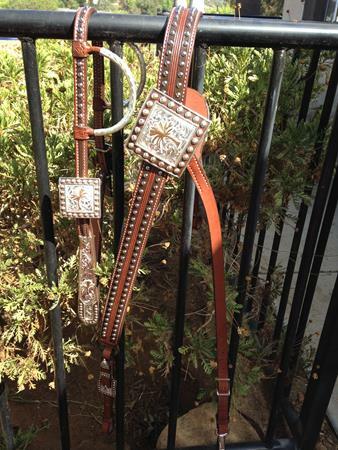 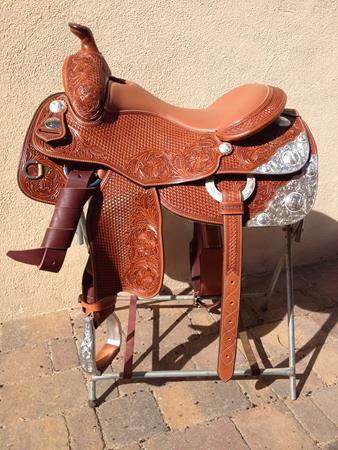 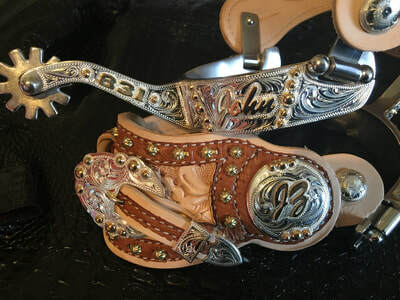 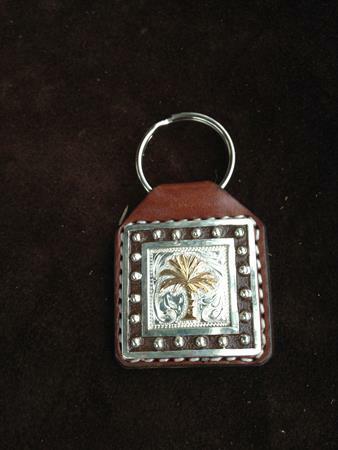 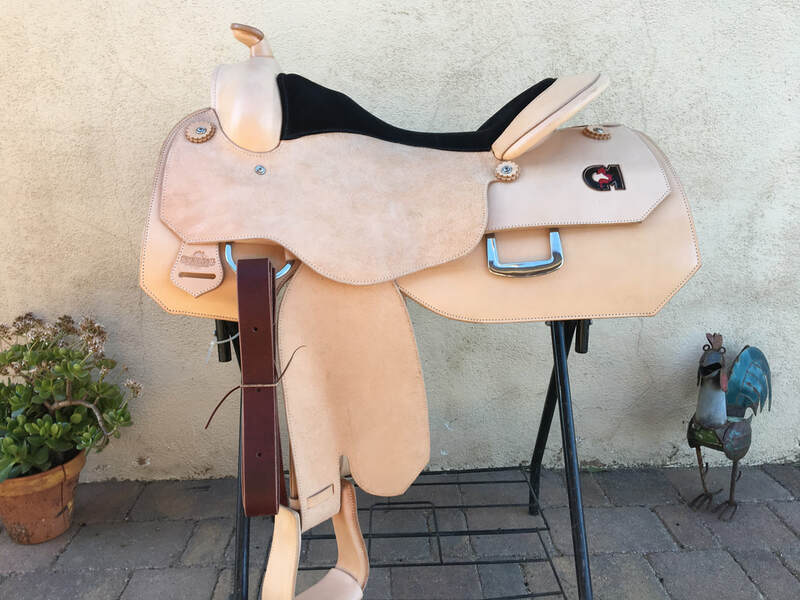 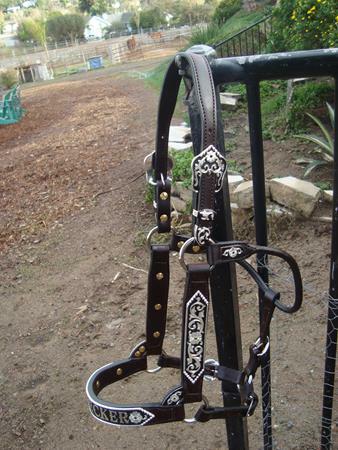 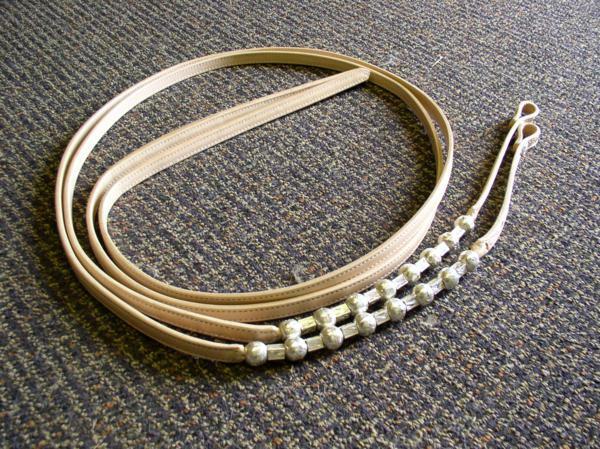 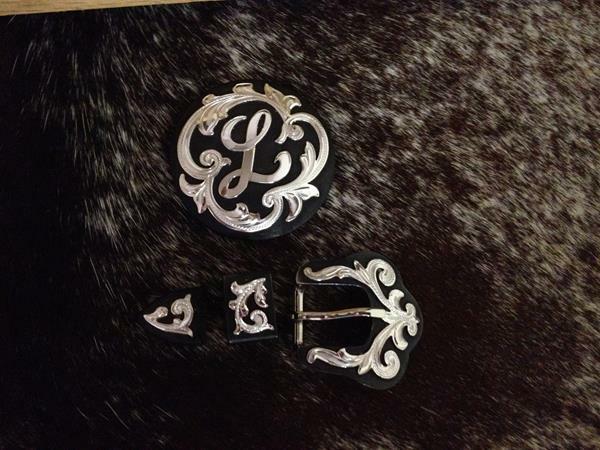 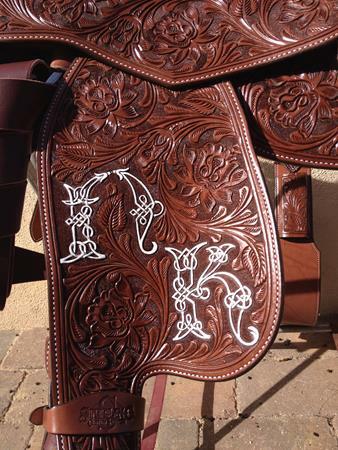 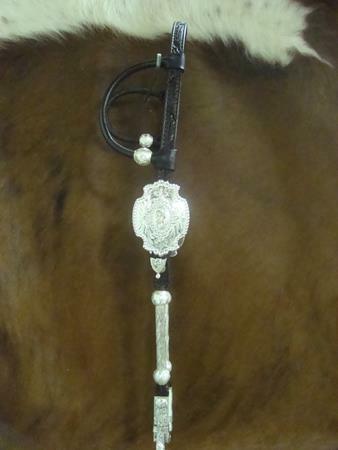 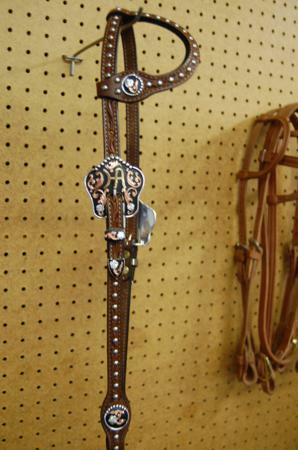 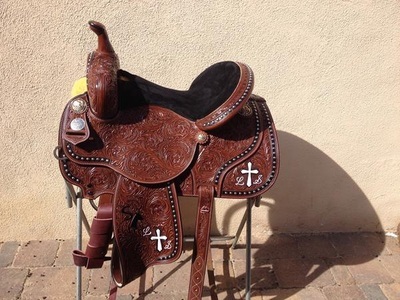 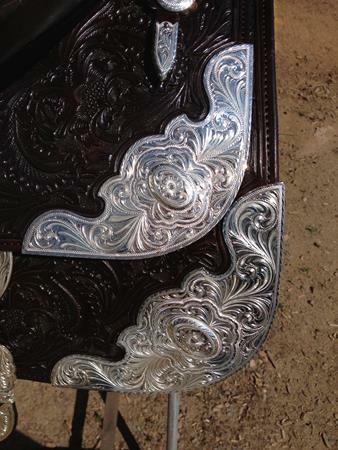 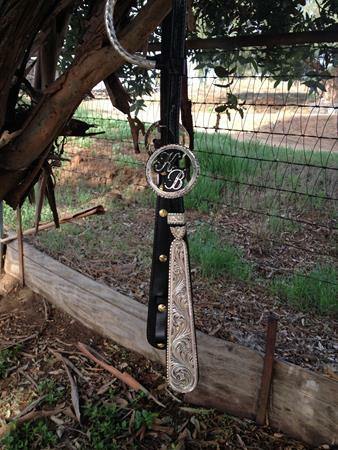 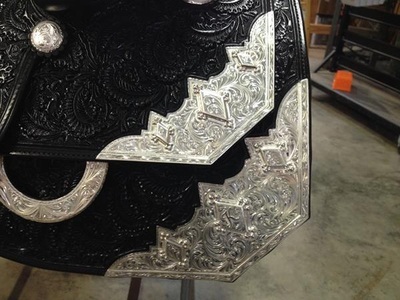 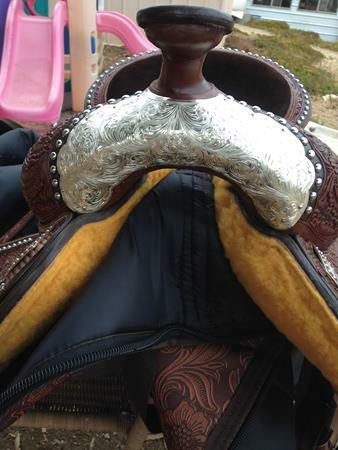 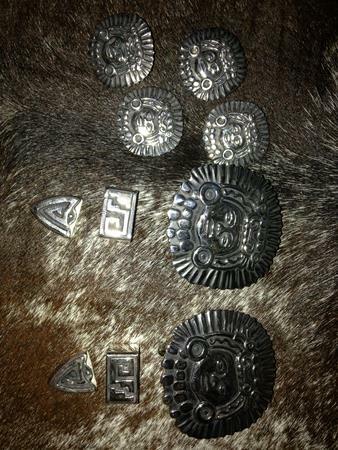 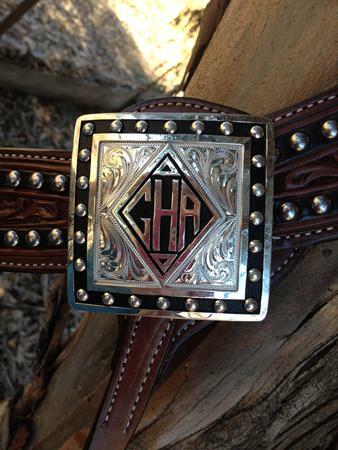 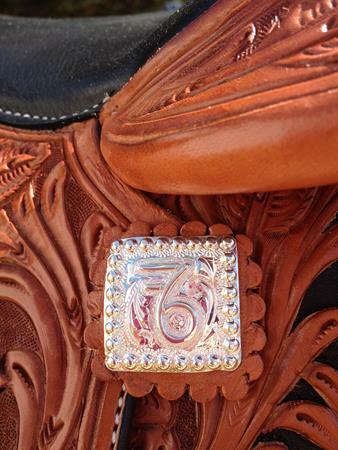 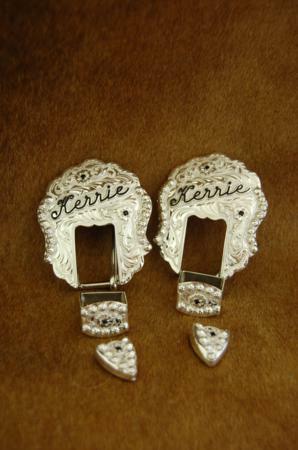 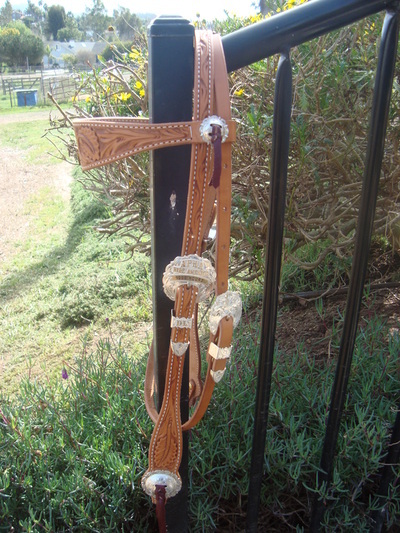 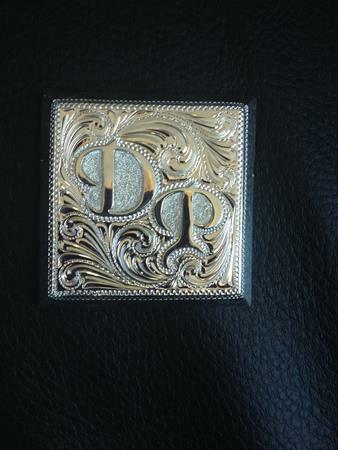 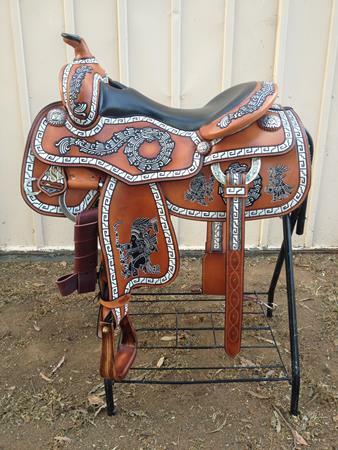 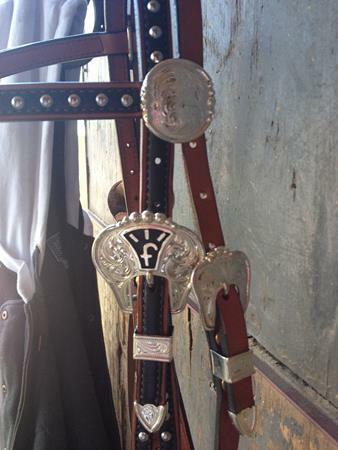 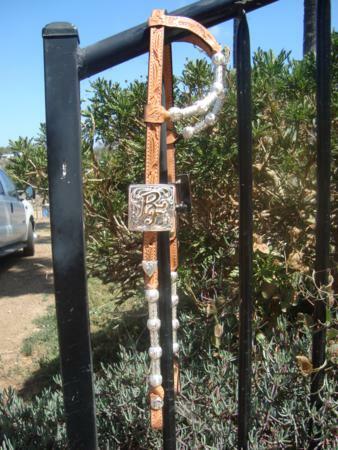 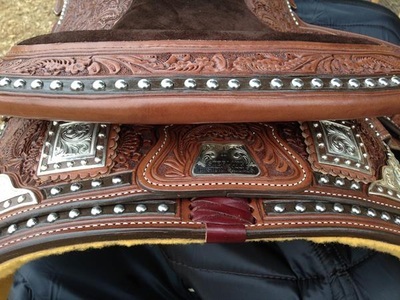 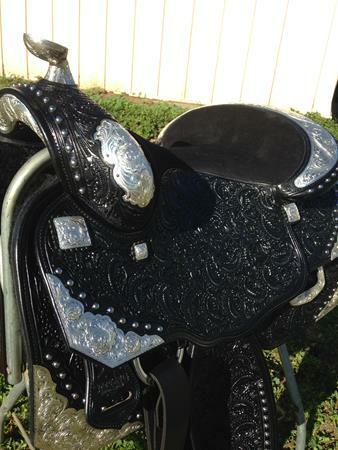 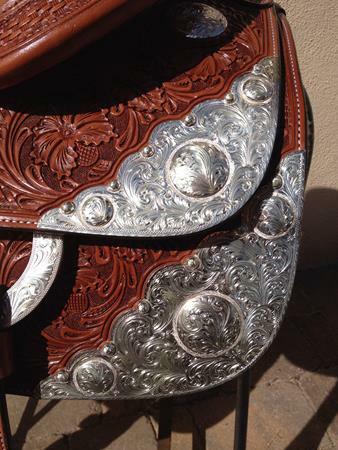 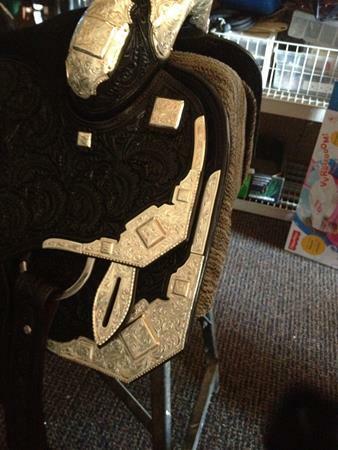 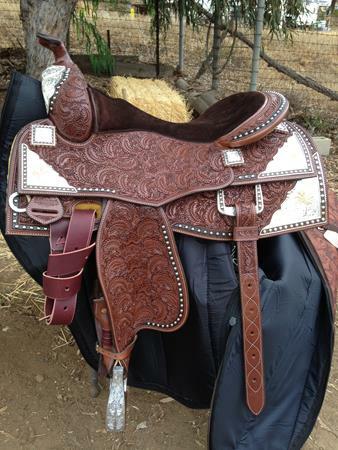 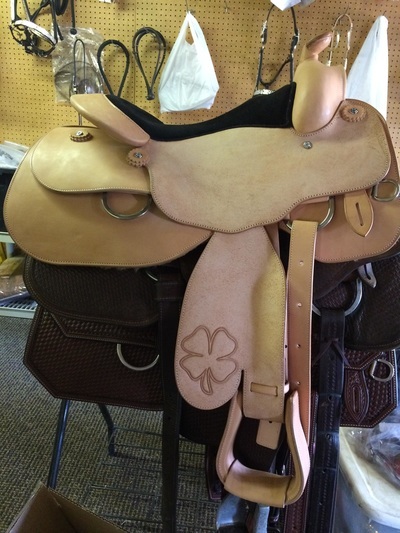 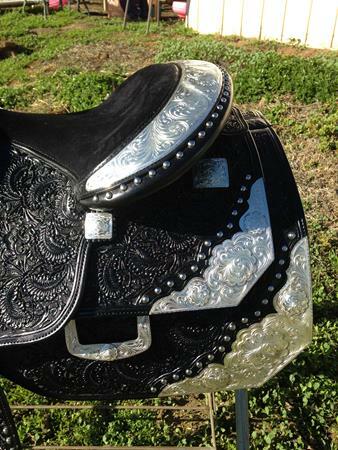 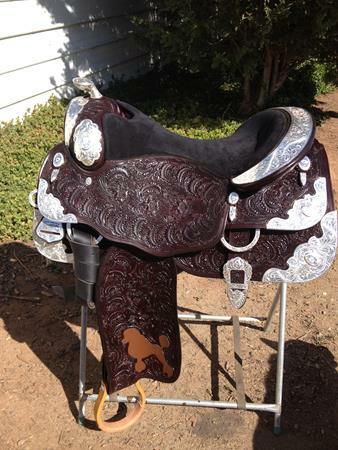 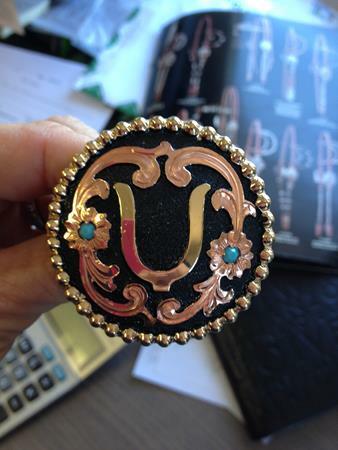 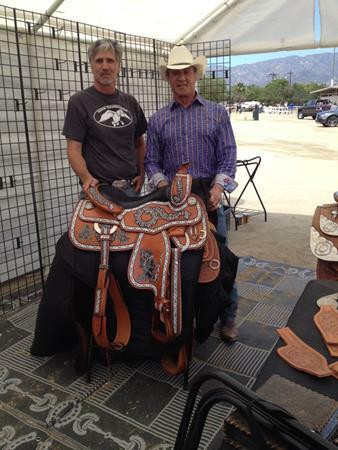 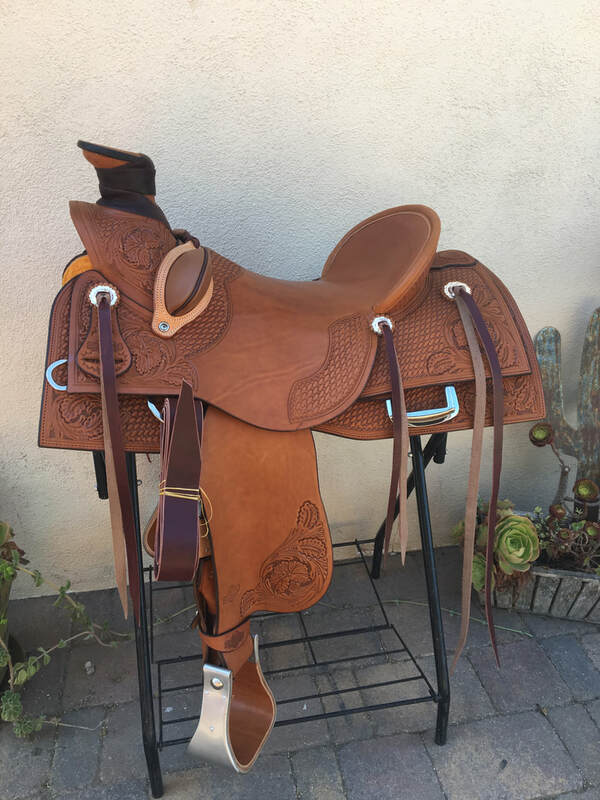 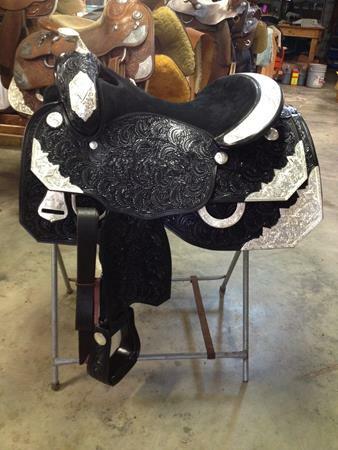 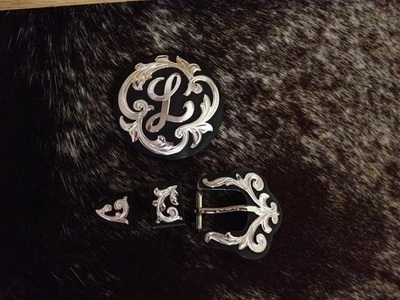 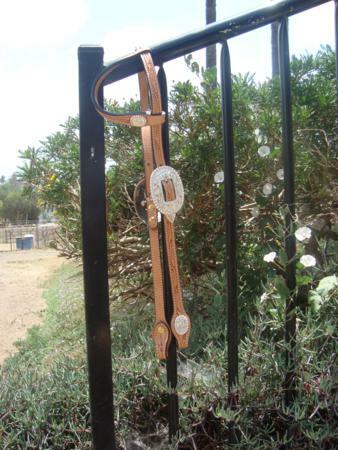 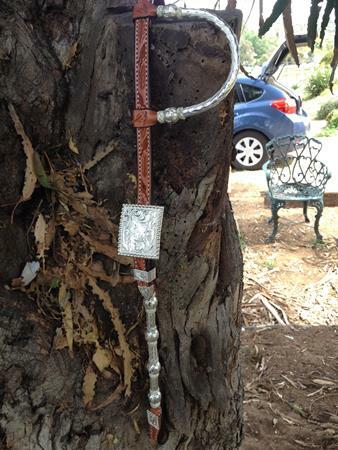 We have many colors of leather, unique tooling patterns and accents to add to your piece. 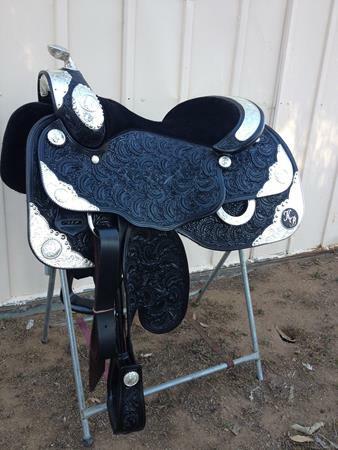 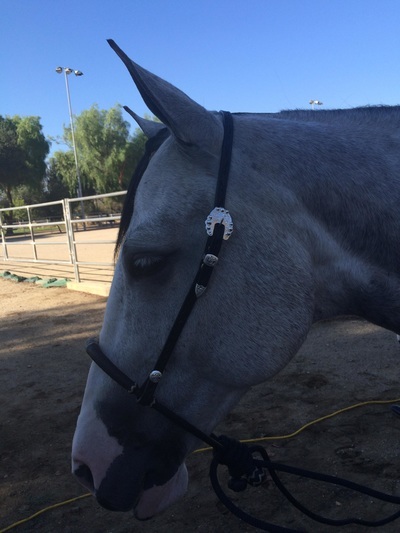 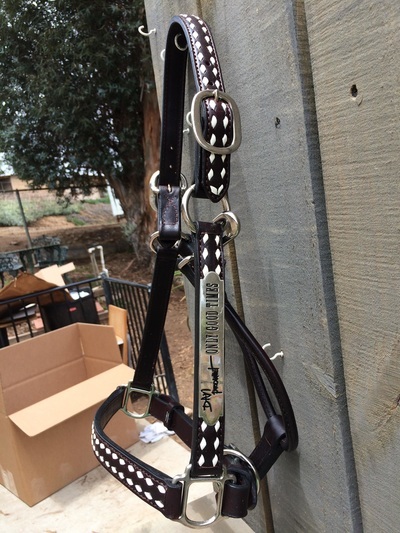 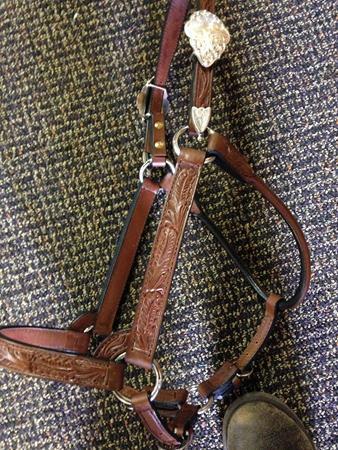 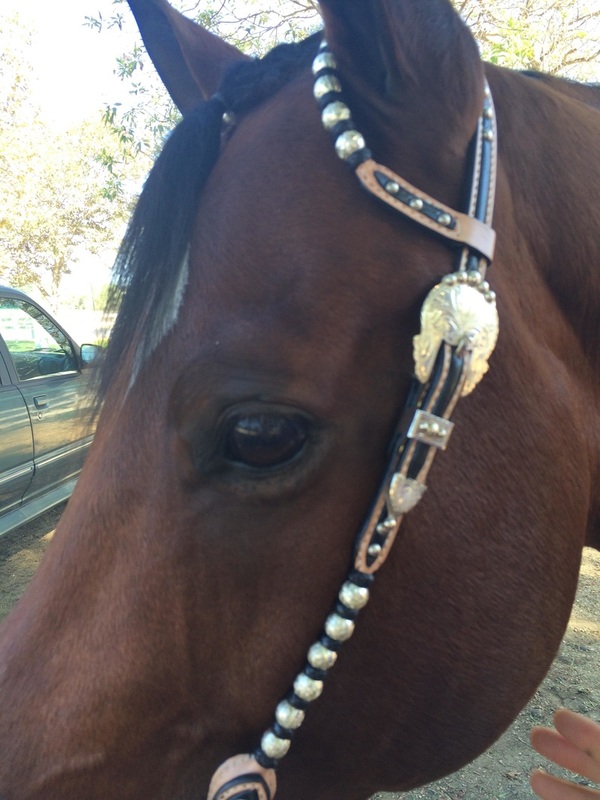 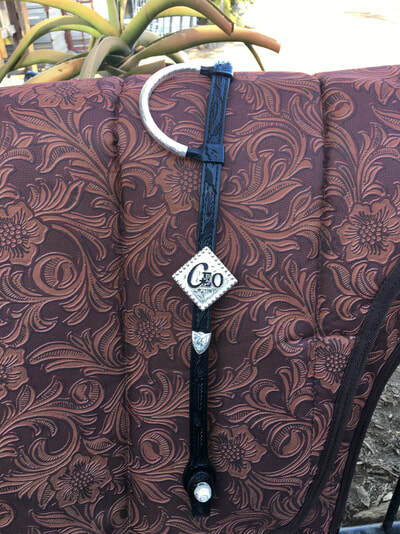 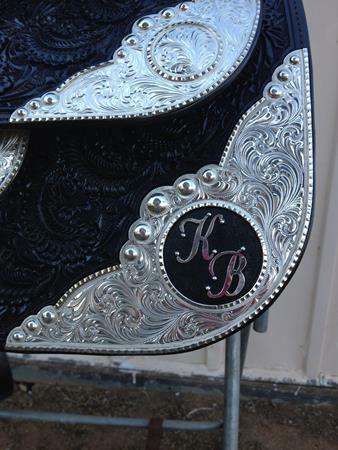 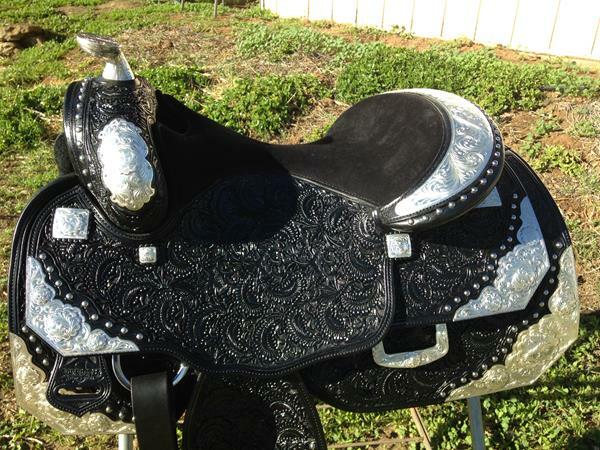 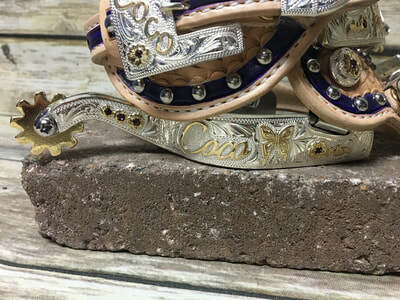 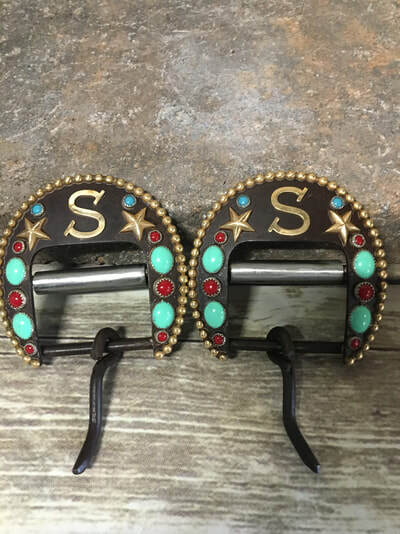 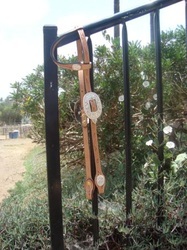 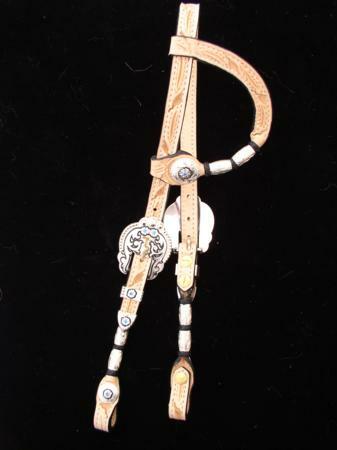 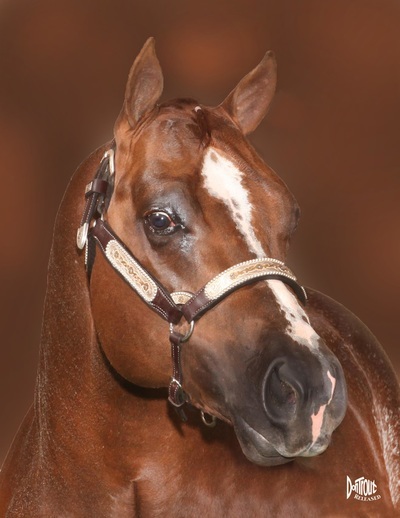 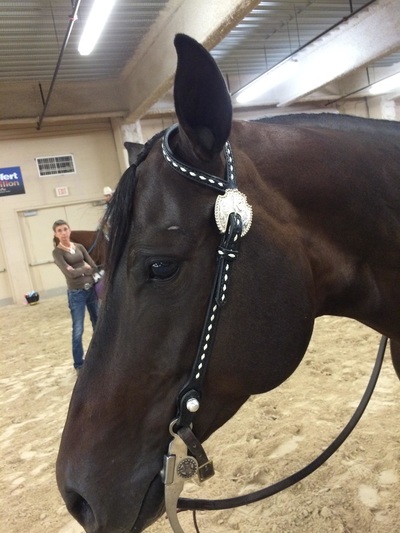 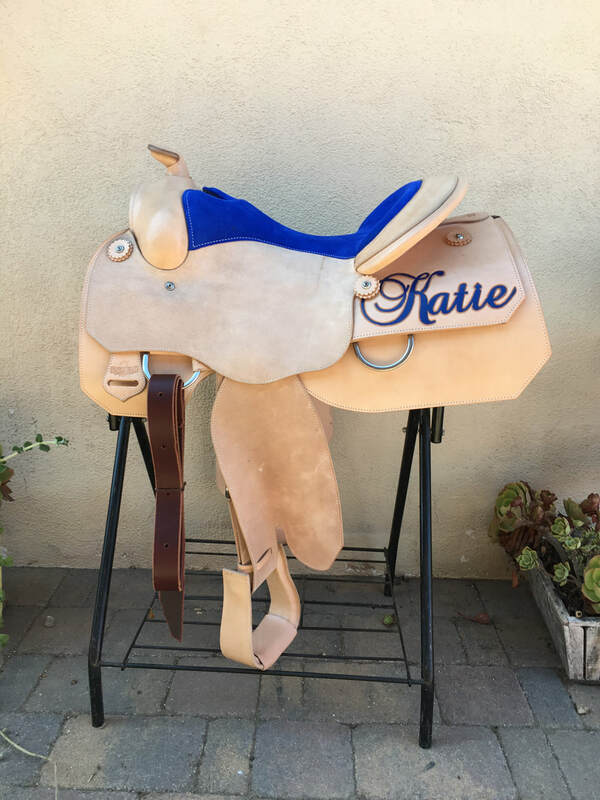 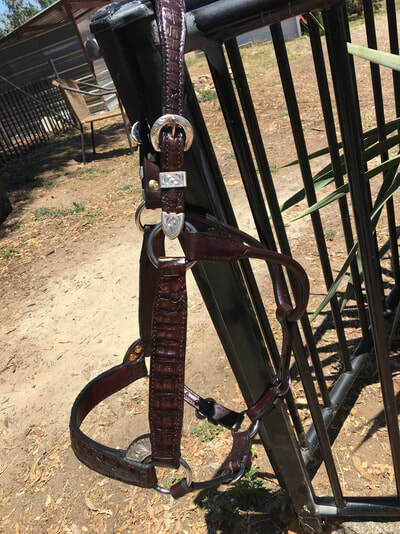 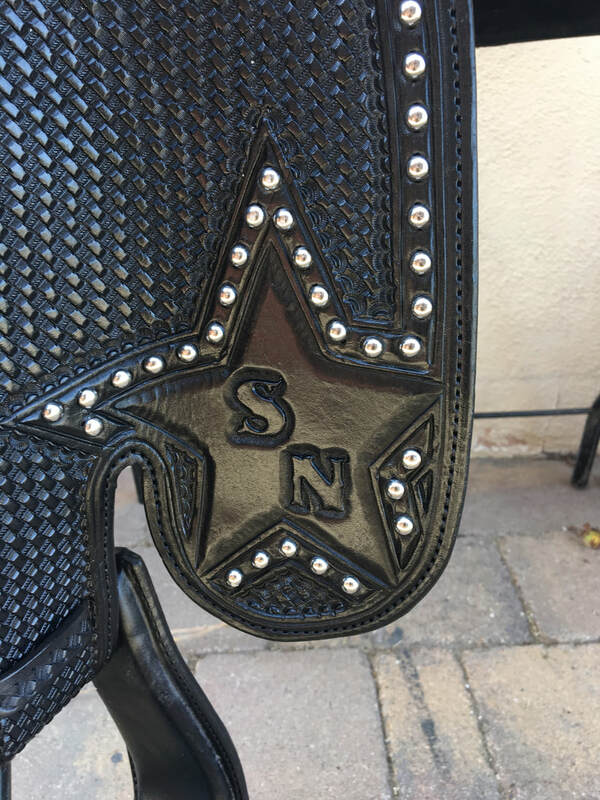 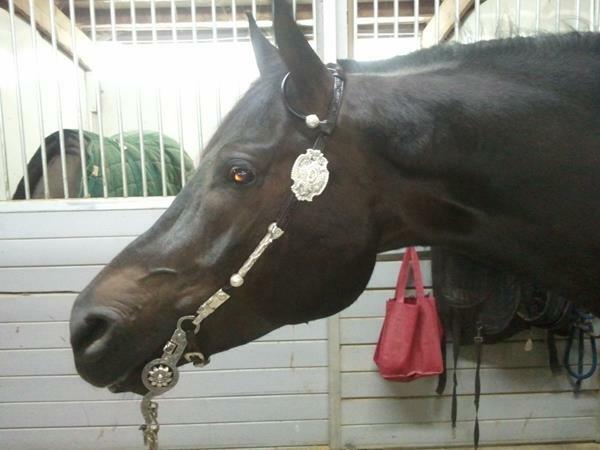 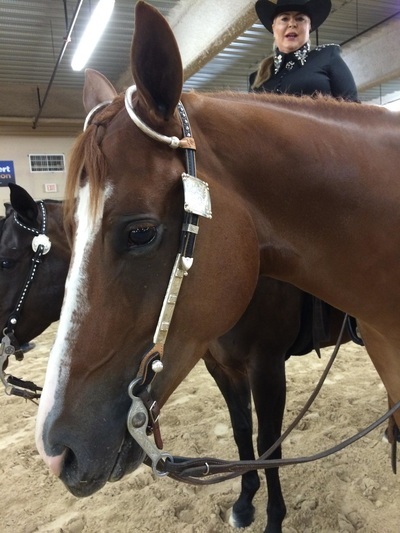 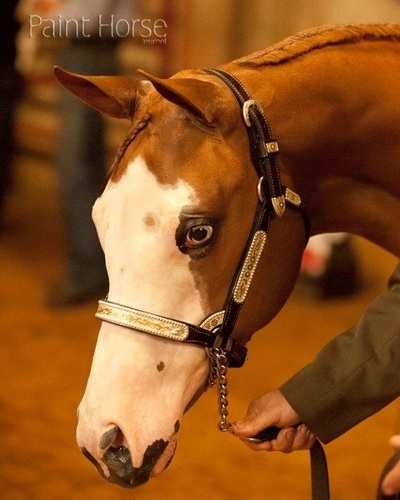 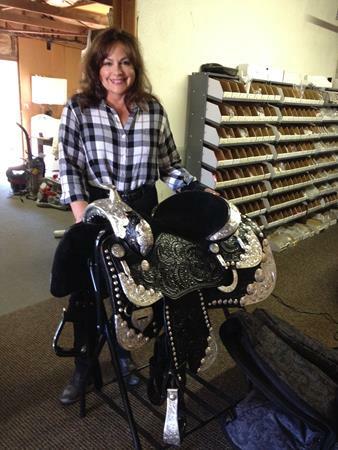 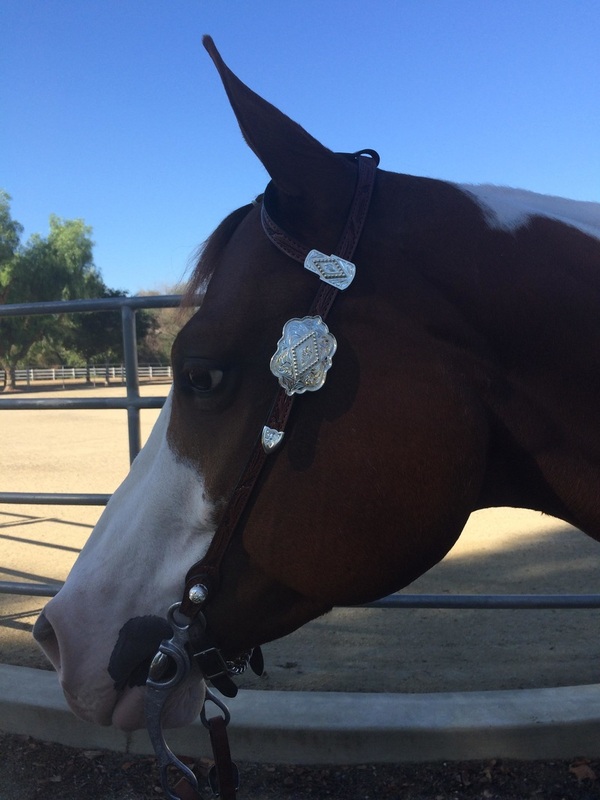 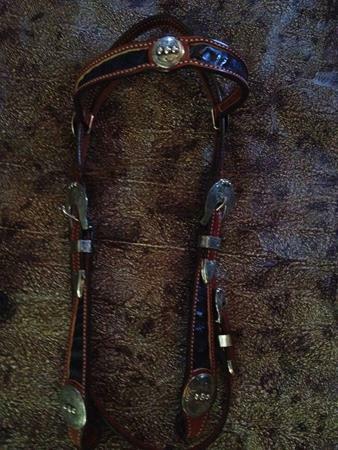 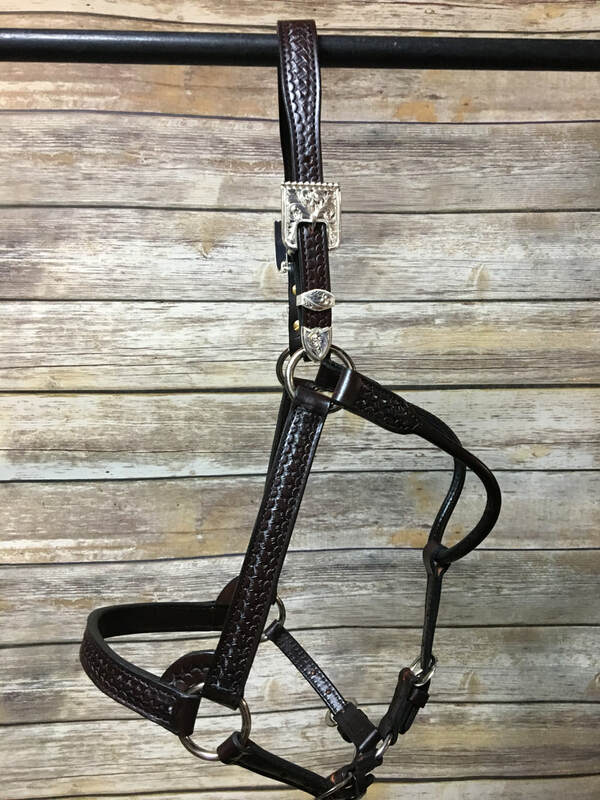 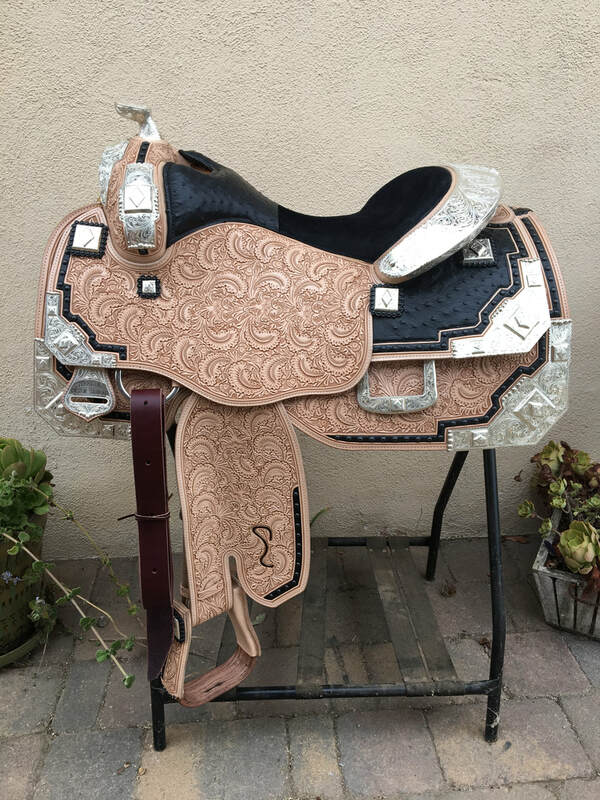 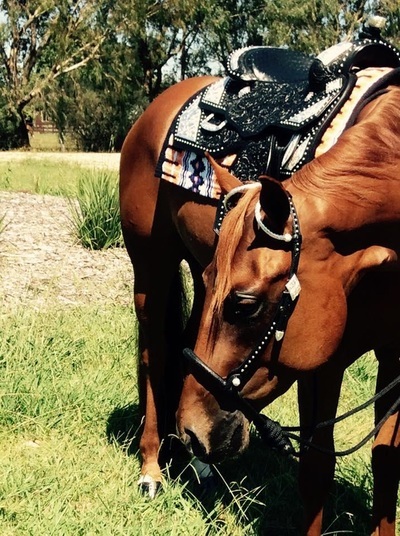 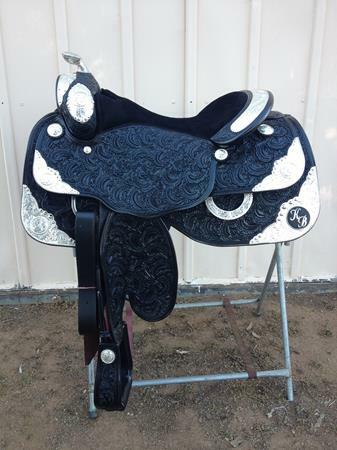 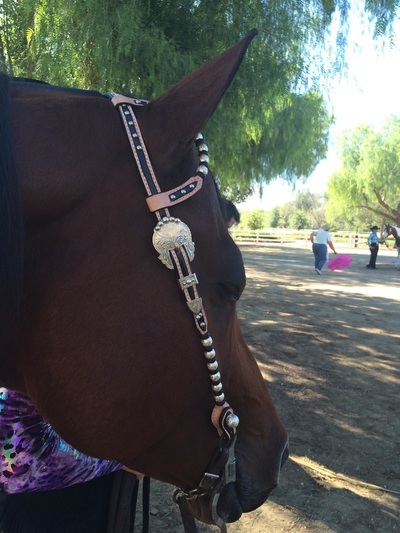 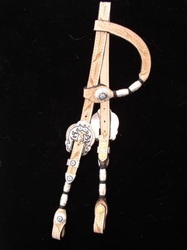 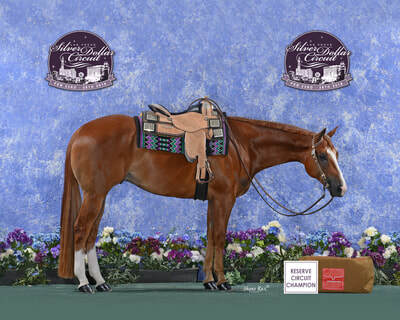 Kathy's also does an amazing job with taking your older headstalls, halters, saddles and reworking and updating them to a current style. 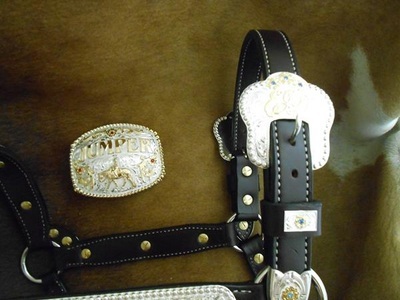 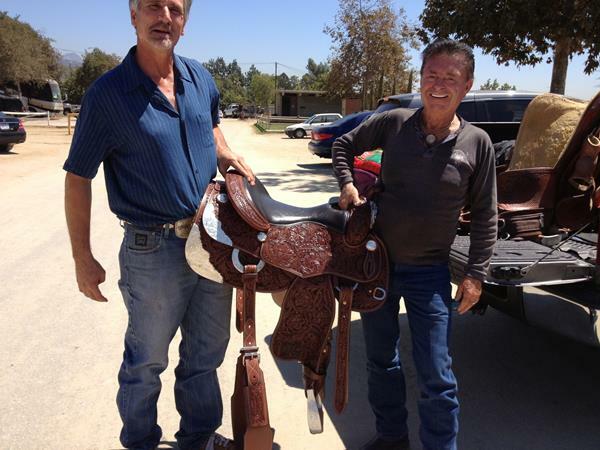 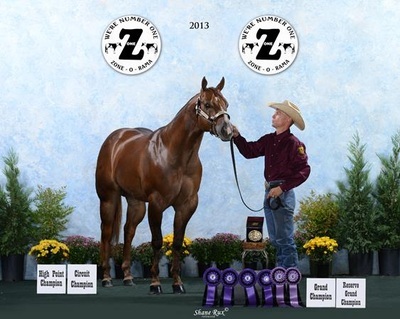 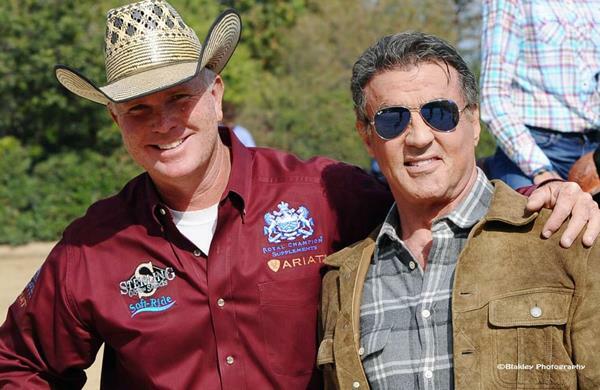 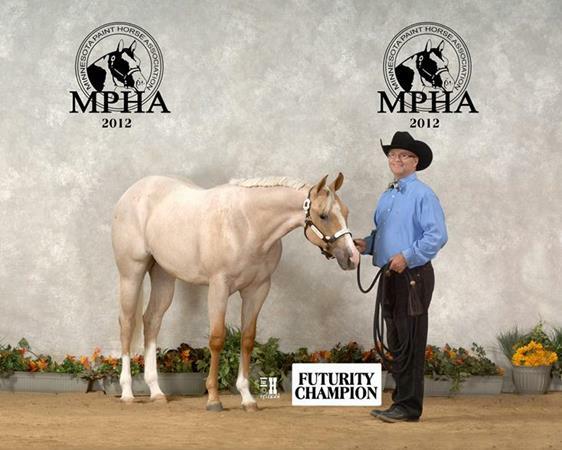 Here are some examples of customers dreams coming true!